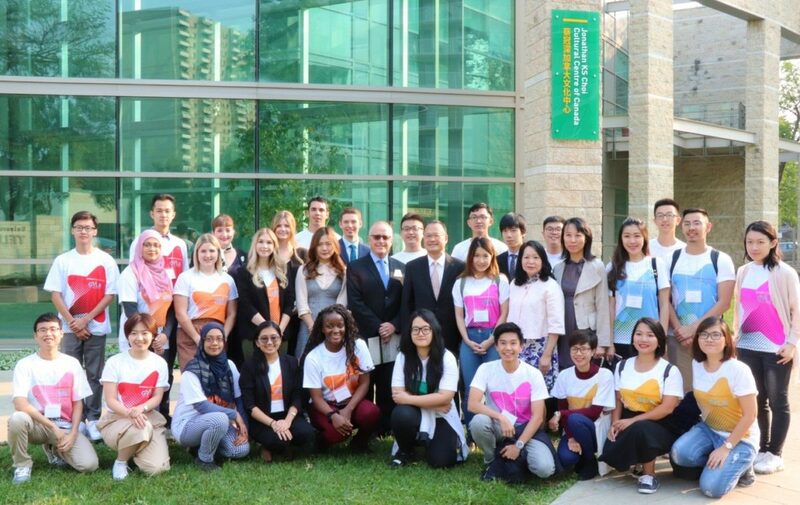 In the middle of August 2018, two members of GYLN HCMC Chapter, Yen – Vice Chairwoman of HCMC Chapter – and I had an interesting trip to Canada to participate in the “Canada International GYLN Summit 2018” organized by Sunwah Foundation. The preparatory work had started several months before the Summit and I learned a lot from the way Sunwah Foundation organized the summit. Experiencing and working towards the summit made me eager to share my experiences with the HCMC Chapter and all my friends. 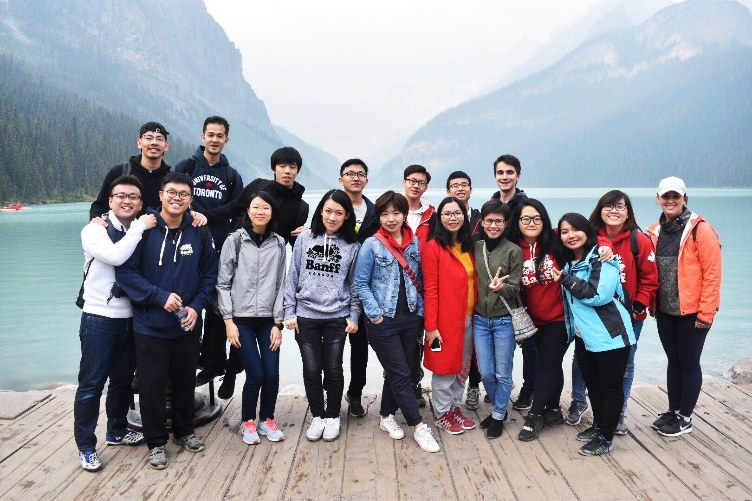 This trip provided us with an opportunity to experience the international environment and expand our network with all GYLN chapters from Hong Kong, Macau, China, Japan, UK and Canada. 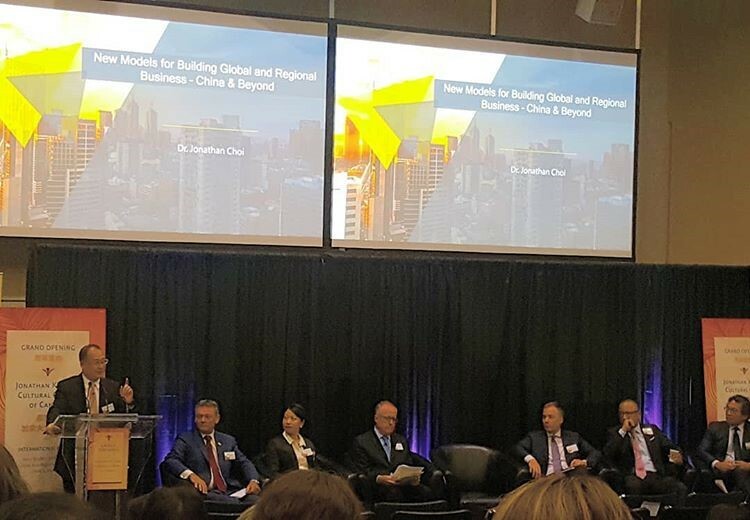 Moreover, we also had a great chance to understand various cultures, to see the Canadian perspective regarding diversity and to listen to the world’s leading entrepreneurs, academics and economists discussing a new global and regional business model. 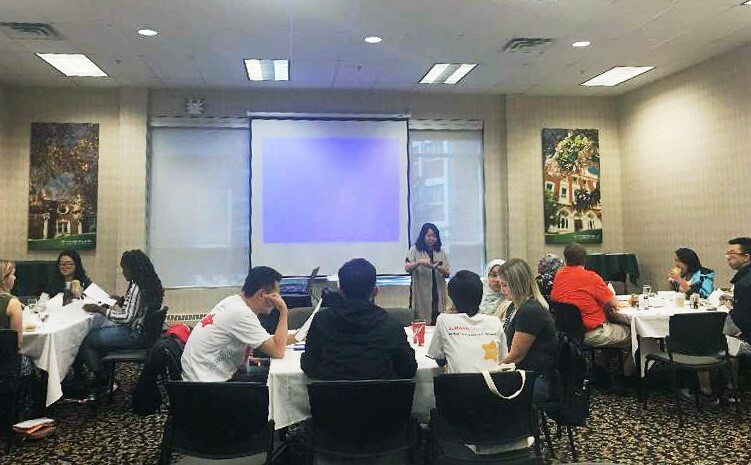 On August 19th, all GYLN members arrived in Edmonton. We started the first workday by presenting the annual GYLN Chapter’s report and sharing innovative ideas on tourism in our own country’s popular travel destinations. Ms Betty Chan, Executive Director of Sunwah Foundation, opened the first day with an inspiring message: “If you can’t do it, practice until you can do it. If you can do it, then practice until you can do it perfectly. If you can do it perfectly, then practice until you can do it perfectly every time” (Yuzuru Hanyu, two-time Olympic champion in Figure Skating). I just keep thinking about that quote and the way Ms Betty used it in order to encourage us to spend more efforts on our work. Afterwards, we gradually listened to interesting and innovation ideas on developing tourism from different chapters. There were some chapters which used a mobile application to introduce and enhance the tourism experience. Personally, I was most impressed by the Japanese Chapter’s idea. They used an Anime Character as a cultural symbol to attract people’s attention and create a chance to introduce Japan. The idea is simple but practical! 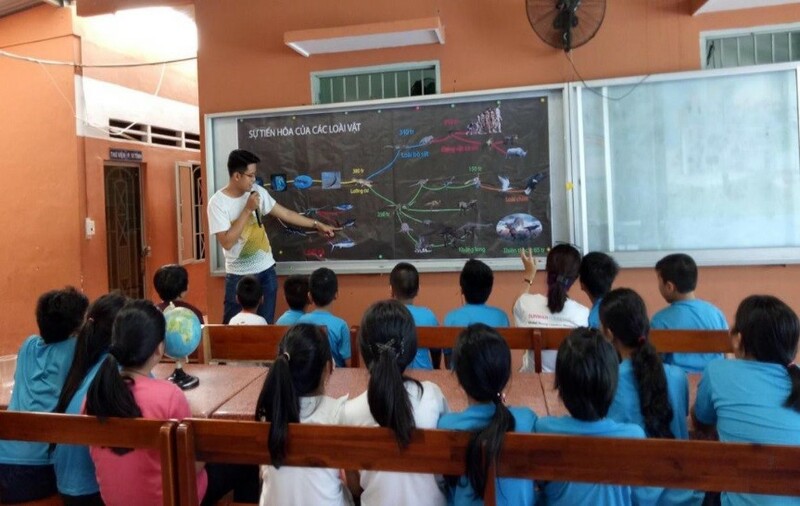 HCMC Chapter presented their idea about Son Doong – the largest natural cave in the world and the idea how we could improve tourism in the whole Caves-eco system (Quang Binh province), not just focus on the largest cave. In the afternoon there was time for cultural exchange activities. We visited to the Art Gallery of Alberta. 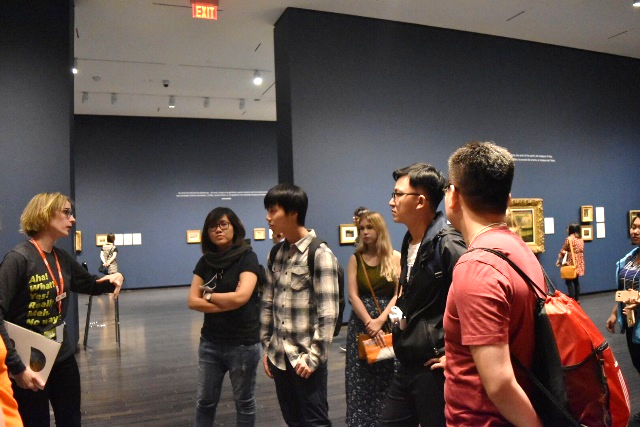 They were exhibiting the oil paintings of a Canadian artist named James Wilson Morrice, from the 19th century along with several artworks from the local people. 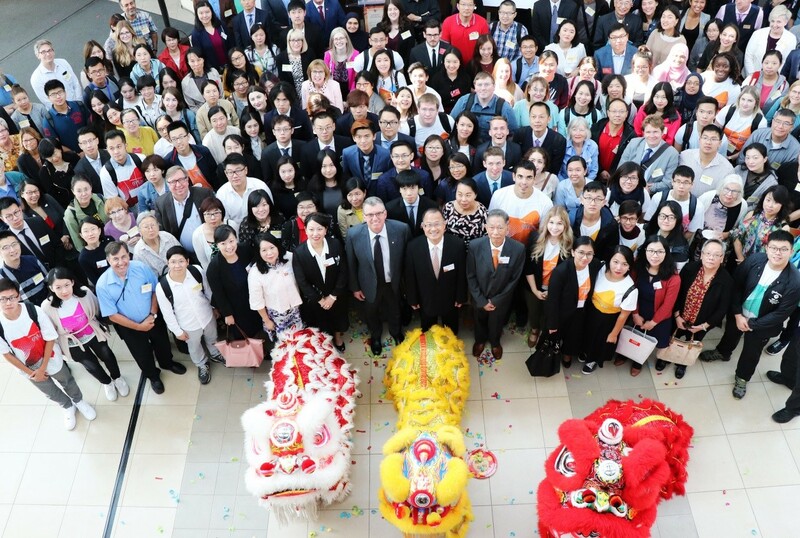 On August 20th, all GYLN members joined in the Opening Ceremony of the Jonathan KS Choi Cultural Centre of Canada at Telus Centre. 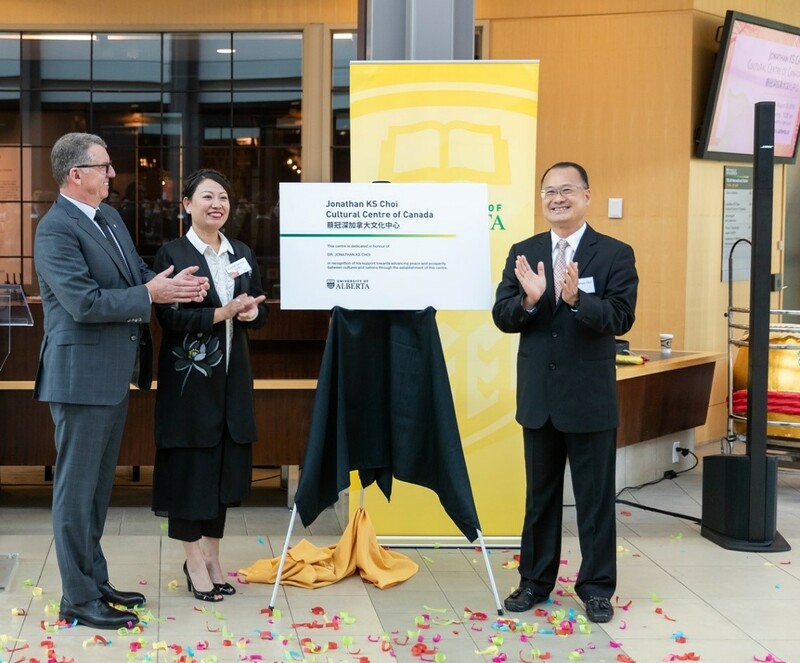 It was one of the most important events of our trip, marking the cooperation between Sunwah Group and the University of Alberta. More than 200 seats in the conference room were filled up during the Forum: “New Models for Building Global and Regional Business”. 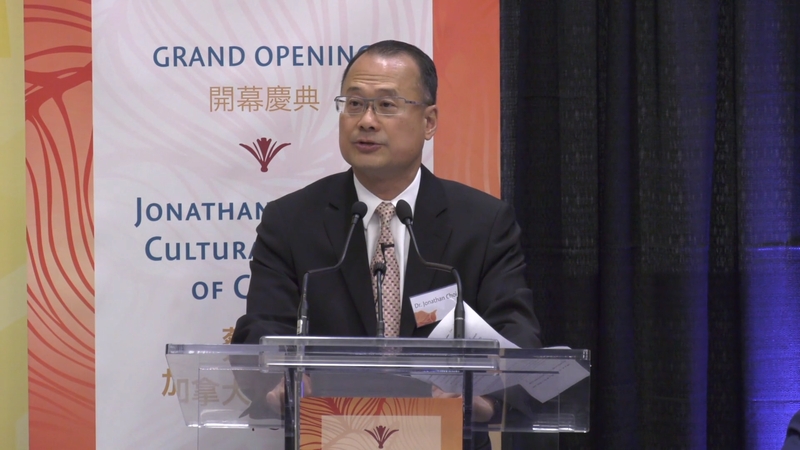 In this session, Dr Jonathan Choi, Chairman of Sunwah Group and Sunwah Foundation, mentioned of building a wall or roads in human history which aimed to mention about the consequence of the trade war that resulted from the United States versus global cooperation in general and cooperation between China and Canada in particular. 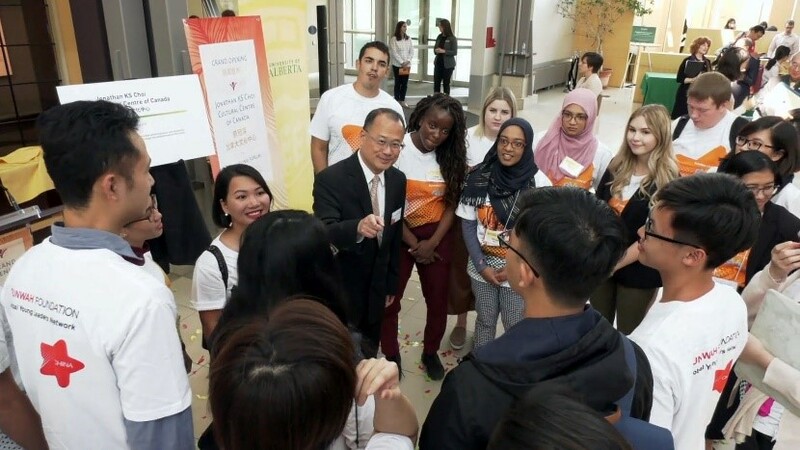 In the end, there was a signing ceremony held for the collaboration between Sunwah Foundation and Peter Lougheed Leadership College for the College to be the Consultant Partner of GYLN. 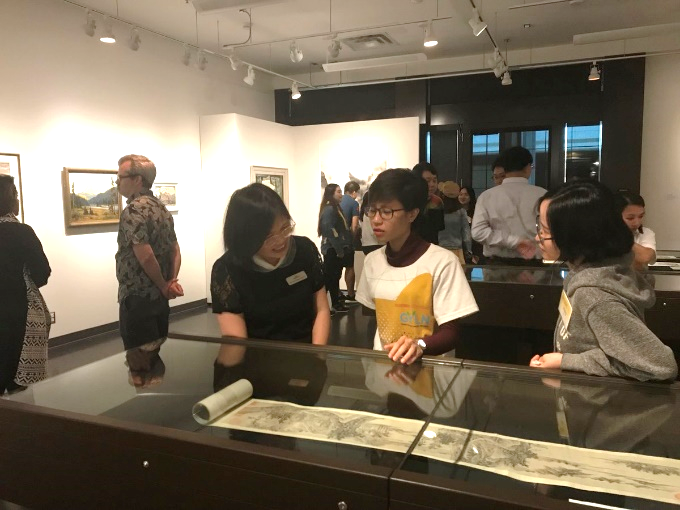 After the Opening Ceremony of the Jonathan KS Choi Cultural Centre of Canada, GYLN members and the visitors had some free time to explore the building as well as the Art Exhibition “Mountains and Water: Visions of the Land in Canada and China”. 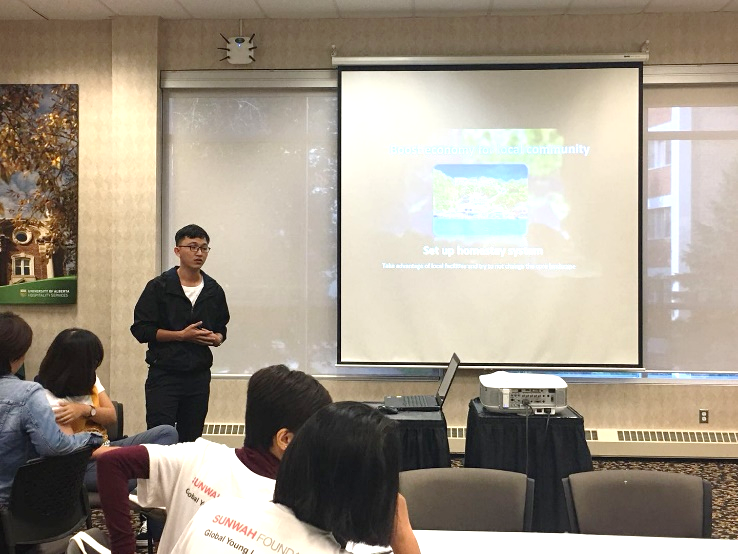 GYLN and the members of PLLC also had a chance to interact with Dr. Choi about leadership and the vision on developing a Canada Chapter. He emphasized that mutual understanding is the key to success in international exchange and collaboration in the global context. 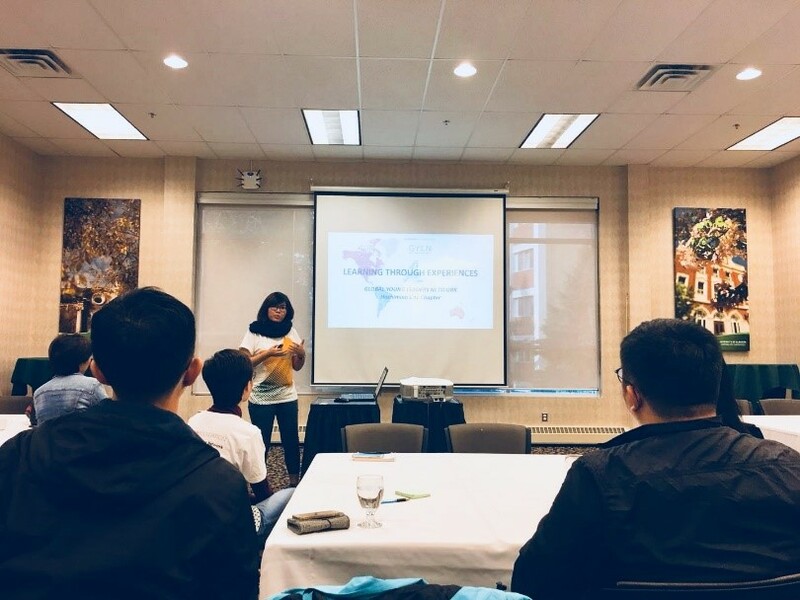 In the afternoon, we took part in the first part of a 3-day leadership training course organized by Peter Lougheed Leadership College (PLLC), an open discussion was held with all members about the topic of the International Forum in the morning. On August 21st, the second day of the training course came with a question of: “What is leadership?” and “what are characteristics of leadership?” For the answer of both questions, Dr Cristina Stasia, Director of Instruction, Peter Lougheed Leadership College used some photos for illustration. For me, the photo of Princess Diana shaking the hands of an AIDS patient said a lot of things. At that time, people had strong biases with that disease and when Diana shook the hand of an identified AIDS patient, she used her public platform to challenge that irrational fear. I learnt that a typical leader should be the pioneer to change the mindset of others, as well as to create a bridge to connect disadvantaged people to the community. What I liked most during the afternoon class was a simulator discussion for hosting the Winter Olympics. We had to play a role as a national representative, and joined the negotiation table for hosting the Winter Olympic. Each person had a different purpose and had to argue for their own benefits. I strongly admired Tanisha, one of the PLLC students when she used her knowledge about Calgary to persuade the committee to vote for her country. To sum up, I think that leadership in the globalization era requires not only solid knowledge but also soft skills for penetrating cross-cultures, thereby creating understanding, sympathy and advantages in working with international partners. 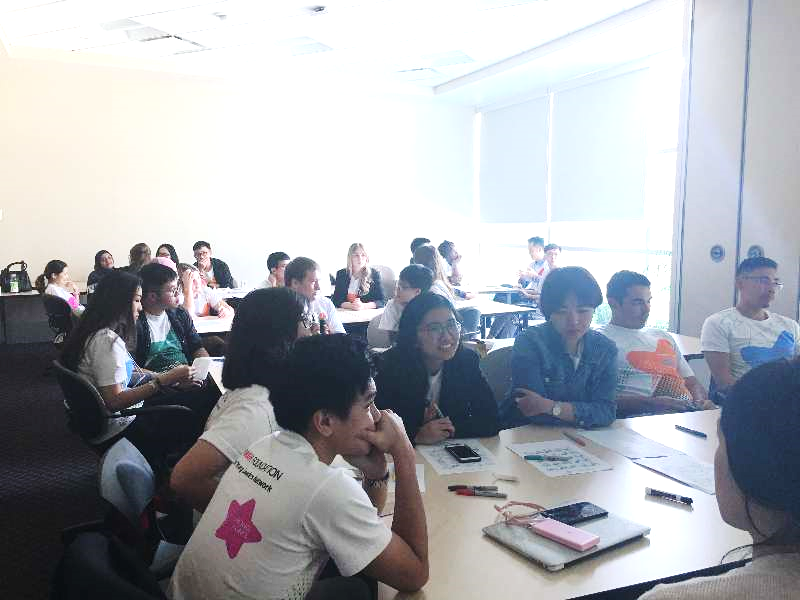 On August 22nd, at the last class in PPLC training course, we studied how to find ideas for social projects and to run them effectively through 2 sample projects. One of them was a project aimed at funding leftover food from grocery stores to poor people run by UoA students. 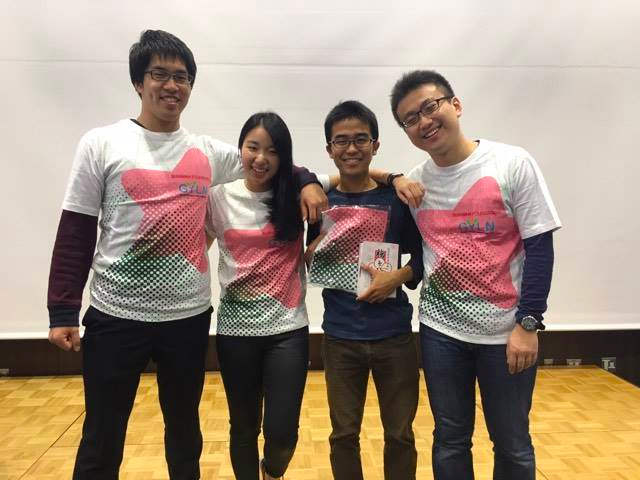 They developed a mobile application to help people to find food-donation stores easily. 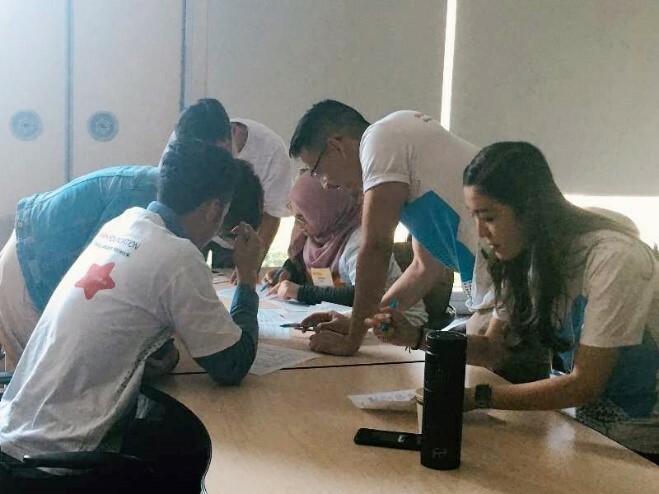 With that solution, the students could scale up their project faster and helped more people; it also made a positive impact on local people about the food waste issue. I realized that applying technology to social projects would raise the effectiveness of the operation and save a lot of time. 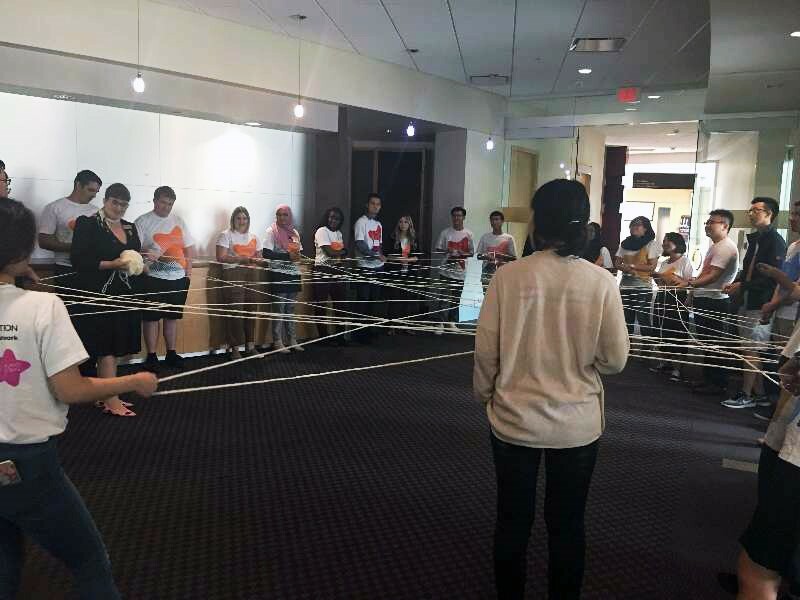 Afterwards, GYLN members were divided into 7 teams to plan a social project, which was then presented within 2 mins. Within the limited time, each team had tried to keep their ideas brief and express them clearly and understandably. Teachers would give feedbacks later and all members asked critical questions about those projects. It is a really good way to practice your presenting skills under high pressure. I also suppose that handling critical questions could point out drawbacks of the project and help to improve and complete it. The course was completed when awards were given to the top 3 members with outstanding leadership qualities who were Tomohiro, Sharon and Liam. Later, Jocelyn was proposed by members to get the fourth award. 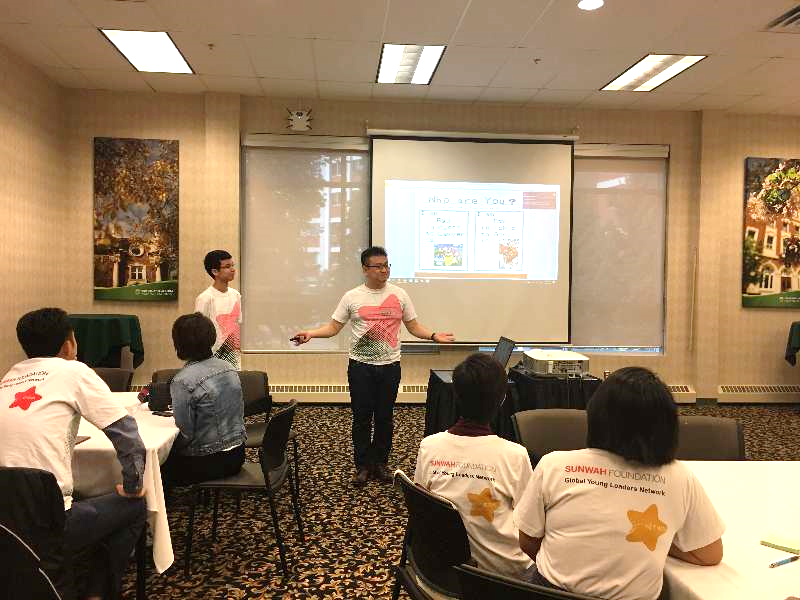 In the afternoon, GYLN members experienced a local festival in downtown Edmonton and enjoyed a stand-up comedy show. 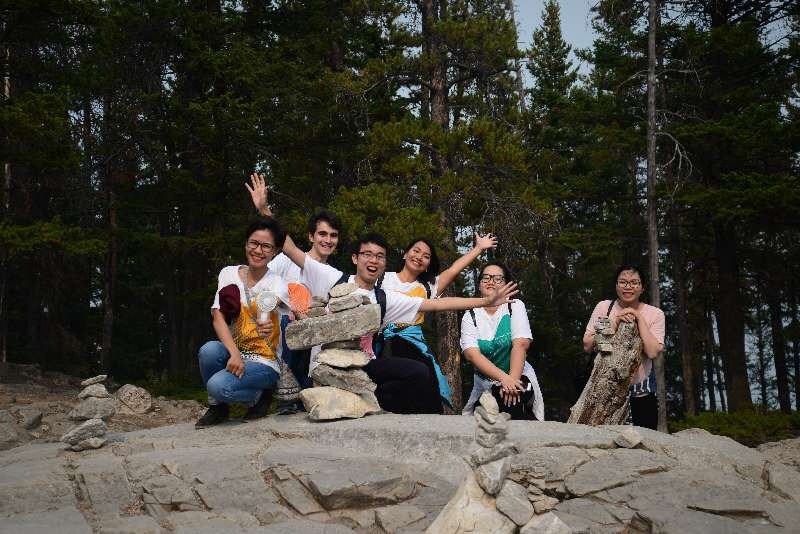 After 3 busy days training and studying in Edmonton, all GYLN members departed to Banff to observe the way Canadian people operate their tourism business and had some time to relax. 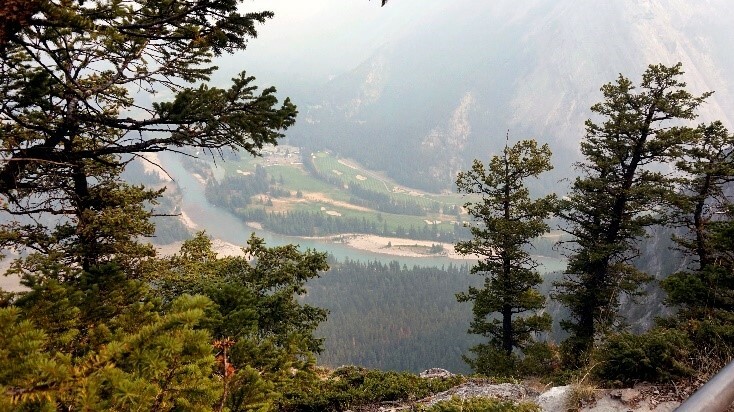 The natural mountain atmosphere plus the stunning views there boosted us and gave us a shot of energy. 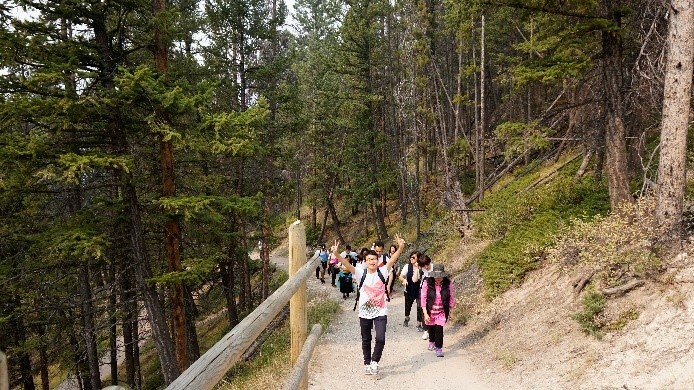 Conquering the Tunnel mountain, going to restaurants with local cuisine and treating the body to the hot springs were such unique experience. The next day, we visited Lake Louise, a UNESCO World Heritage Site. This beautiful lake is surrounded by soaring mountain peaks which create majestic scenes similar to what you see in movies. I took a short adventure to the end of the lake, closed my eyes for a few minutes to immerse myself in nature. I felt that the country is peaceful and lovely. 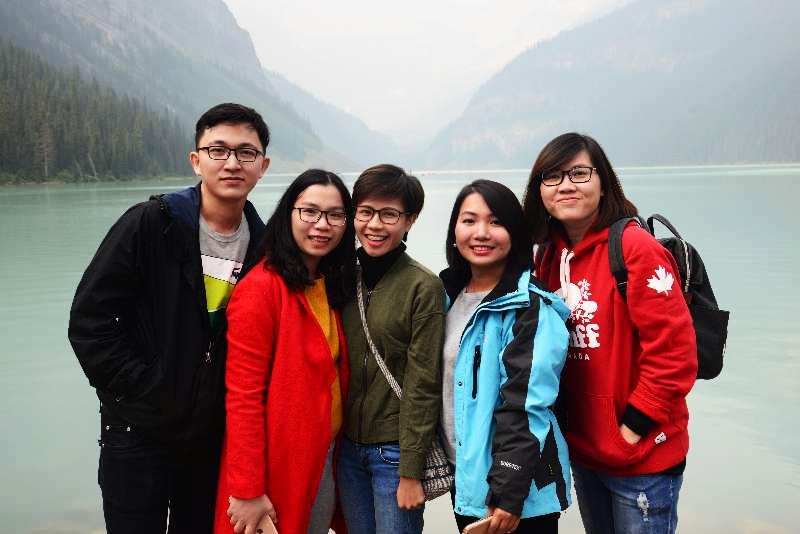 All members of GYLN Vietnam Chapter (Hanoi and HCMC) and the international GYLN members at Lake Louise. The amazing beautiful landscape already took our breath away. Time flew so fast and we had to say goodbye to each other. Many thanks to Sunwah Foundation for organizing and providing support during this trip. Thanks to the PLLC teachers for teaching us a lot of interesting lessons and thank all the GYLN members. I’ve learnt many amazing things from you all. See you again soon! 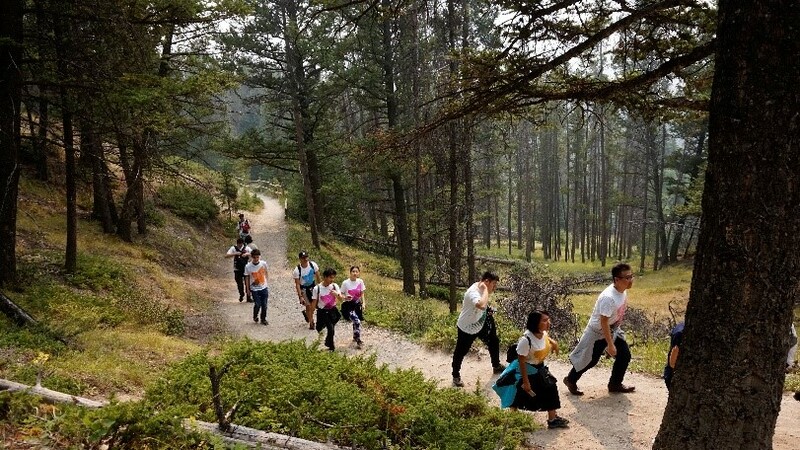 Following the last International Summit in Fukuoka 2016, GYLN members from all over the world gathered again in Alberta, Canada, from 18th to 25th of August. There are 2 parts of learnings in this program. Each chapter has brought an innovative idea about tourism (HK, Macau, China, UK, Canada, Ho Chi Minh City, Hanoi and Japan). Here are some examples from the presentation. The world’s biggest cave is located in the central part of Vietnam. That area with many caves was created 250 million years ago, and since then it has witnessed the long history of Vietnam. In the ancient times, it was used as a holy place of Buddhism, but in 1960s, used as a military hospital in the Vietnam war. Now, the area is a symbol of peace and development. Although that area was used by humans for centuries, the world’s largest cave was discovered by the locals in 1991. If you open the Lonely Planet of Vietnam, it should be found in the front page with beautiful pictures. However, if you want to go inside that cave, you need to wait till 2020, and pay around $3000 for 5 days. Why so popular ? Why so limited ? Those questions are quite natural to be asked. Our Vietnam chapter tried to answer that in the presentation. Thinking of tourism, it is very easy to imagine great sceneries, mamusement parks or historical places. So what if your hometown needs tourists, with no such resources? Japan chapter proved that those resources are not always necessary, using the example of tourism using local characters. 47 prefectures in Japan have their own unique characters. Also, some cities or even towns have their own. Some of the characters are so famous that tourists are coming in order to take picture of the characters or buy some goods of them. The popularity of local characters has come from a city. Japan chapter explained why a character of that city became famous from the interview with the city government. One of the reasons is that characters are loved by every generation. Tourism is not only business, but also entertainment. If you think of tourism ideas, you should care about people. The other reason is that cities and towns have cooperated together to attract more people to the character of each other. Sometimes they hold festivals to make local characters known to public. We have found that touching people’s hearts is important for tourism. We have learned about leadership in the program. There are many styles of leadership, but they can be divided into 2. The first one is leadership with authority. It is quite easy to think what leaders with authority are like. They have social status, or economic power to lead other people. In this case, you have to be elected or promoted inside communities. The second one is leadership without authority. This kind of leadership is open to everyone. You do not need to wait to be elected or promoted. You have a chance to be a leader in everyday life. However, it is not very easy to be a leader. Sometimes you need more courage to act like that. In our surroundings, there are many social problems which a lot of people are missing and which are waiting to be found. Once you recognize the problem, knowing and acting are different. You may become nervous considering whether you should stick to it. Ignoring what you saw and just walking away look very comfortable. With your full courage, you can go one step forward to solve the problem. In this situation, the existence of second leader is very important. If the second leader appears and he or she help you to act on it, then your activity can become a social movement and will attract more people. We learned about leadership and followership through a lot of activities. Lastly, each chapters has come up with ideas and plans for the social service back in our hometowns. Overall, Canada is the best place to learn friendship also. Friendship is the foundation to be a leader or a follower. Classes in the daytime and communication with a glass of drinks in the nighttime were strongly connected inside our mind to become an international leader. Thank you very much for this wonderful opportunity. See you soon somewhere on earth. 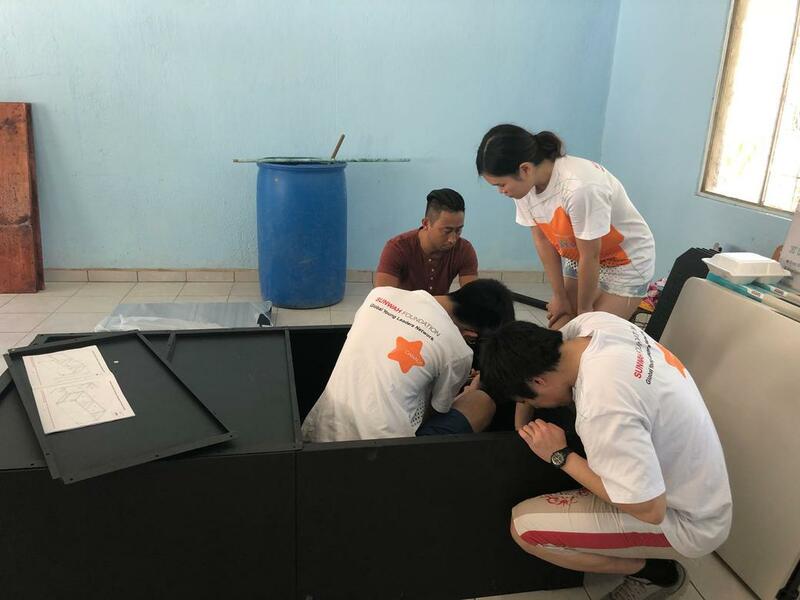 From March 21st to 27th 2018, our Canada Chapter has collaborated with the Boca de Tomatlan School in Mexico to provide a healthy learning environment for the underprivileged students. 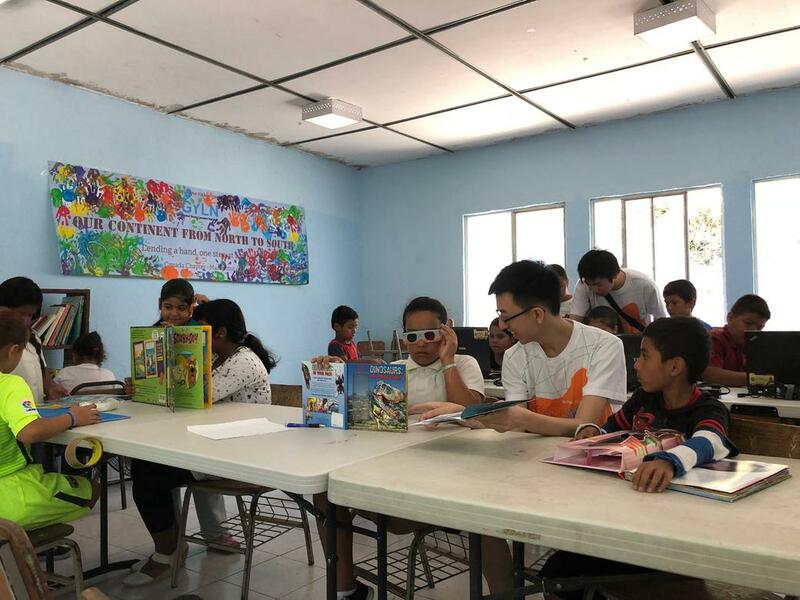 We have transformed an unused storage facility into a library by renovating the entire room with new painted walls, desks and bookshelves, and brought over 200 interactive books, feature-rich laptops, and abundant school supplies. Our chapter had been brainstorming ideas on how we could support underprivileged children and communities. 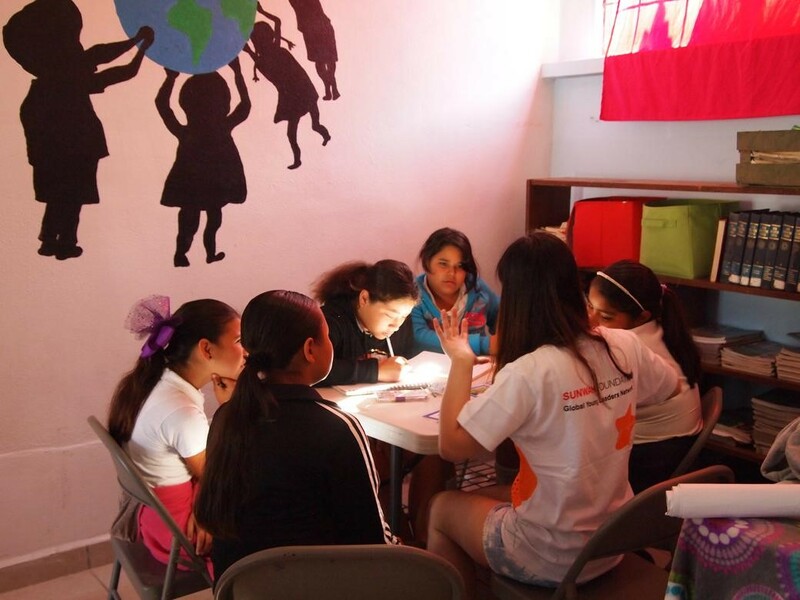 In November 2017, we made some connections with the founder of a well-established Canadian non-profit organization for children and youth around the world, named Isa Mundo (http://isamundo.org/). 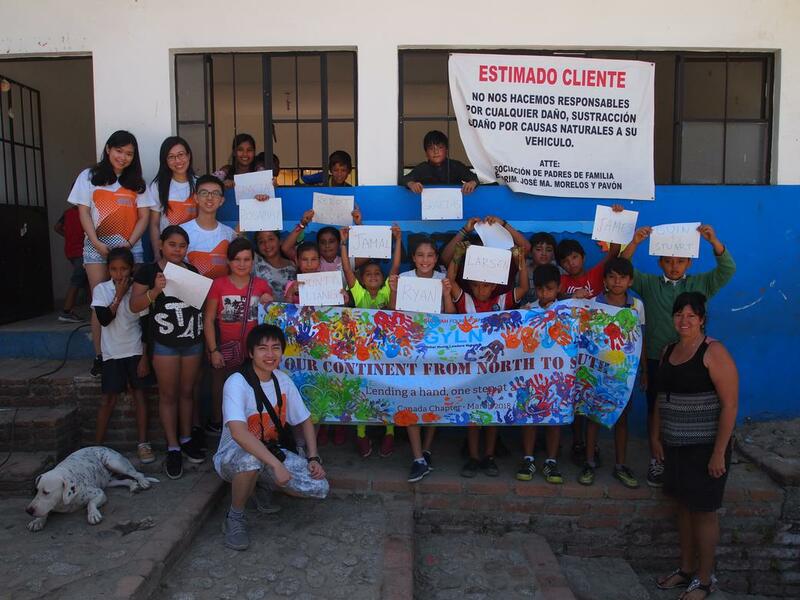 This organization has been supporting schools and communities in developing countries for more than 10 years and partnering with Canadian scouts group, Engineers Without Borders, Rotary International, etc. 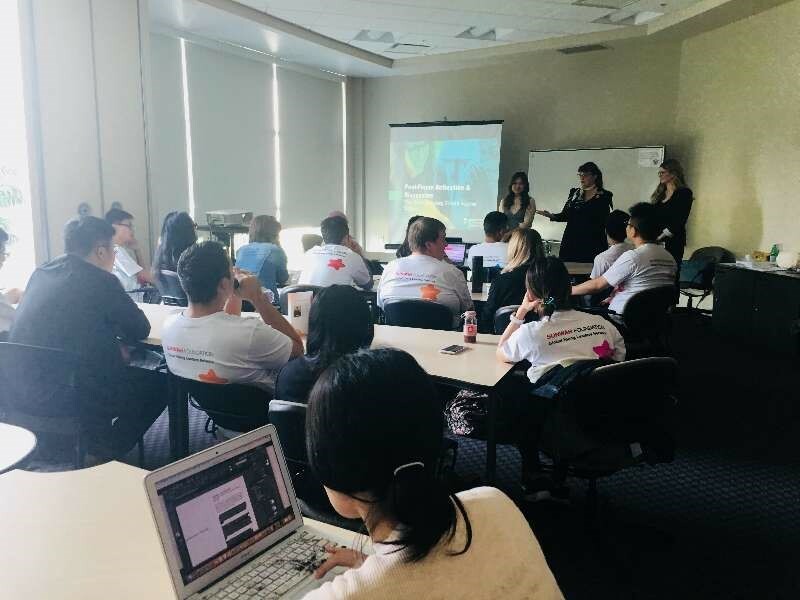 We – members of the GYLN Canada Chapter – were very much interested in assisting some of its projects in Mexico supporting schools in teaching, reconstruction, cultural sharing event. 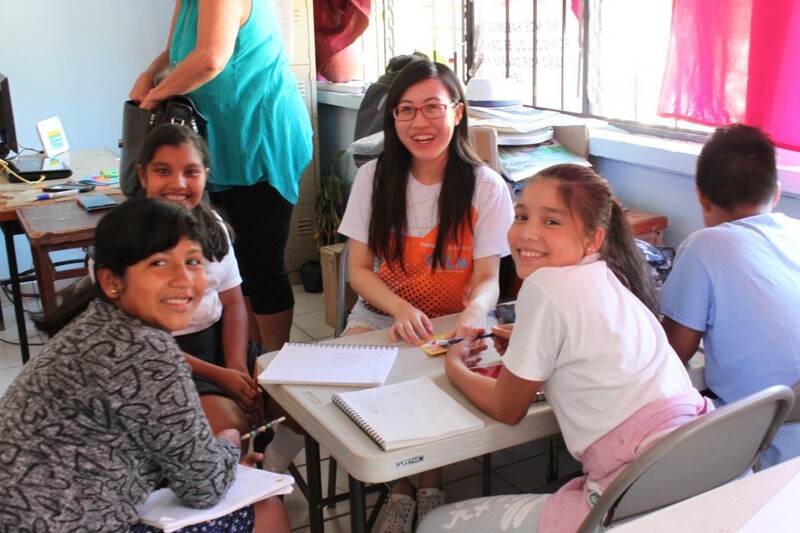 After discussions and with Sunwah Foundation’s sponsorship, this would be a great opportunity for us to extend the scope of helping local communities in Mexico, where resources were relatively less abundant than in Canada. We were very glad that the Founder of Isa Mundo, Mr Paul Lorilla was willing to guide us. 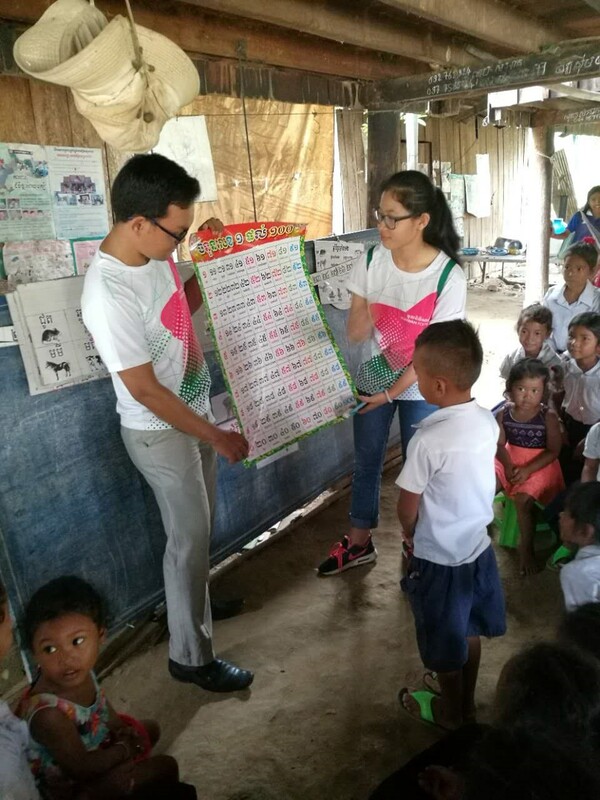 His experience in working with school education projects and communicating with local people has provided us a lot of learning opportunities. 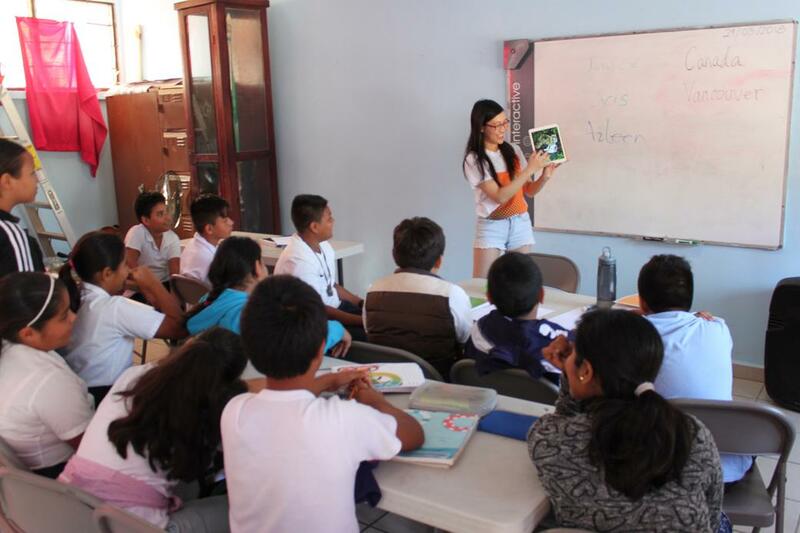 He suggested that the Boca de Tomatlan school in Puerto Vallarta – the only school in that area – needed a lot of resources and reconstruction for the establishment of a library. This was for the children to enhance their English literacy and explore the world through books. Thus, we decided to take this project and focus on interacting with the students so as to set up a library for the Boca school. 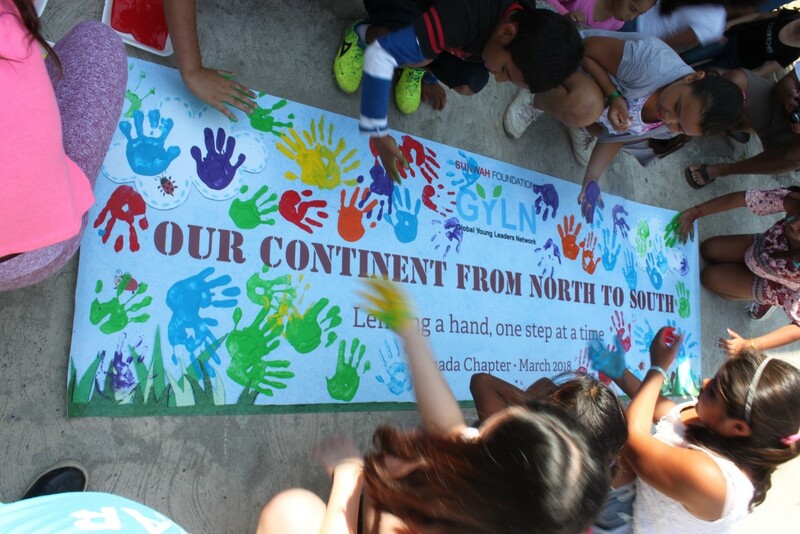 We named it “Our Continent from North to South”, with a slogan of “Lending a hand, one step at a time” aiming at uniting people around us and helping the communities. The project has been carried out from March 21st to 27th, 2018. The initial preparation of this project was not easy. 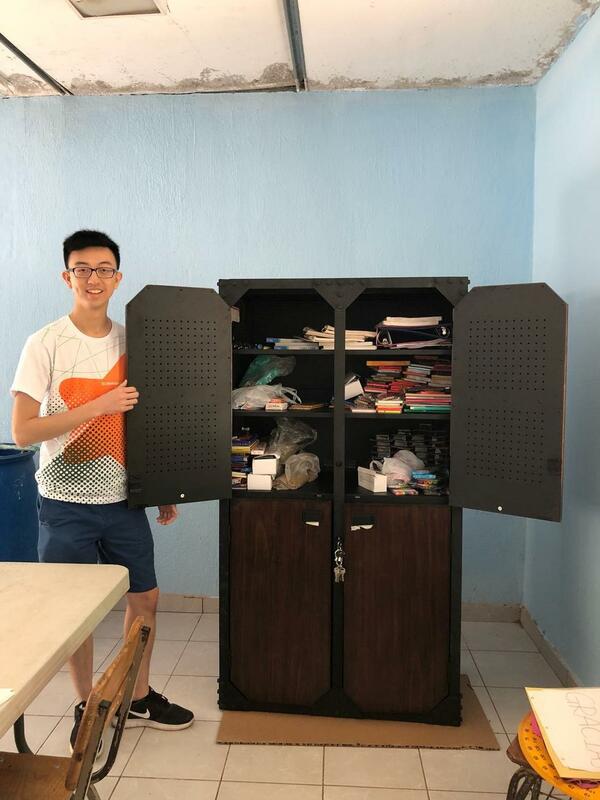 We had quite a few meetings and email discussions with Paul and Cynthia for 2 months for planning the materials we needed for the library, as well as calculating the budget and organizing our accommodation and transportation. We also went around Vancouver City to gather children’s English books and school supplies together with refurbished laptops from Isa Mundo for the school. When we checked-in at the airport, we had four large luggage pieces full of donated materials which exceeded the weight limit allowed. So we had to take out some of the books. 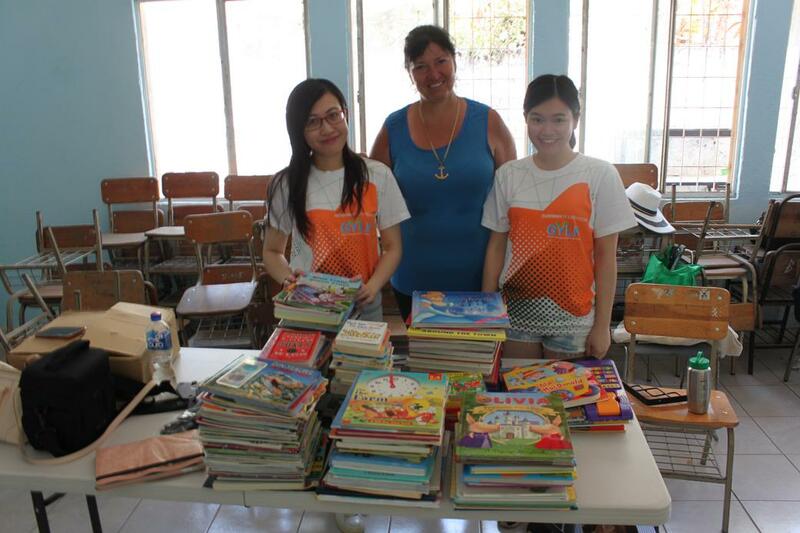 In the end, we managed to bring more than 200 books and hundreds of school supplies. Upon arriving at the school, we first went to see the room planned to be the library. Many essential items of a library such as adequate number of tables, bookshelves, books, fans, etc. were missing. Some of the chairs were also broken and woodchips were sticking out that could potentially hurt the passers-by. We also noticed that the lights were cracked, and the windows were not secured. The door was unable to close as it was not properly built. As we planned to bring laptops into this environment, one of our first tasks was to ensure that this room could be secured. There would be a lot of work to renovate this area but we believed that this time we could at least achieve part of it. Then we started moving the materials we purchased, and built the security cabinet for the laptops. It took quite a long time to do it. One book shelf was prepared and we put the books we brought on. Then, we installed the tables we bought, the laptops we prepared and the chairs for the children in the library. We were very glad to have chances to interact with the children and it was a heart-warming experience. We visited the elementary students first, introducing ourselves and showing them pictures of us in Canada – where we were from. The children were excited and listened attentively to our stories. Most of the children could communicate in English with limited vocabulary. We then separated them into groups for playing interactive games and teaching them some English words. We also got to know some of them at a closer level. Additionally, we met the secondary school students who just learnt the concept of time in English and we played the game “What time is it, Mr Wolf?” to reinforce the words. 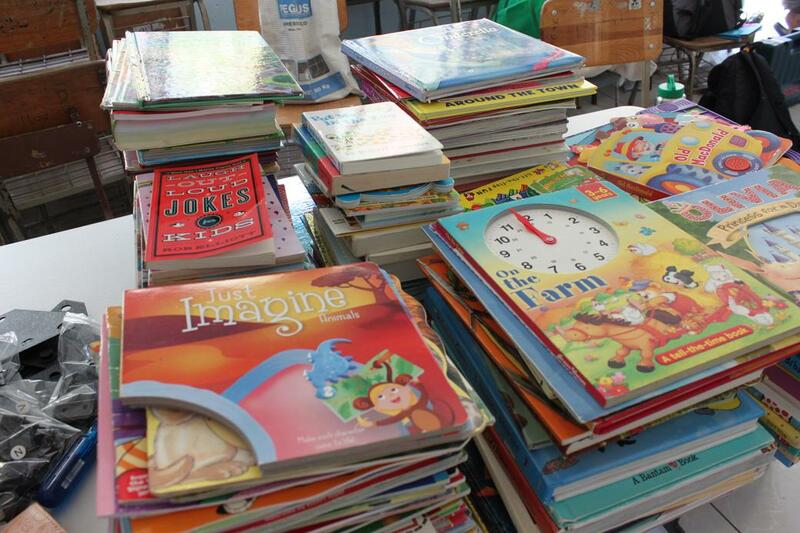 After arranging most of the books and laptops in the library, the children were very excited. They came in to read the books and try to use the computers. 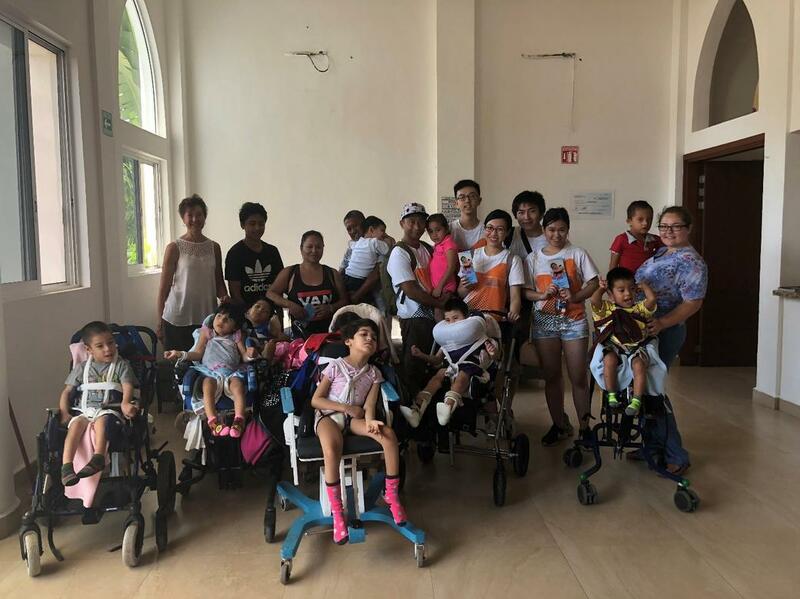 After the work in Boca, we also visited Casa Connor (Pasitos de Luz, http://www.pasitosdeluz.org/) – a non-profit child-care center for disabled children from low-income families in Puerto Vallarta, Mexico. 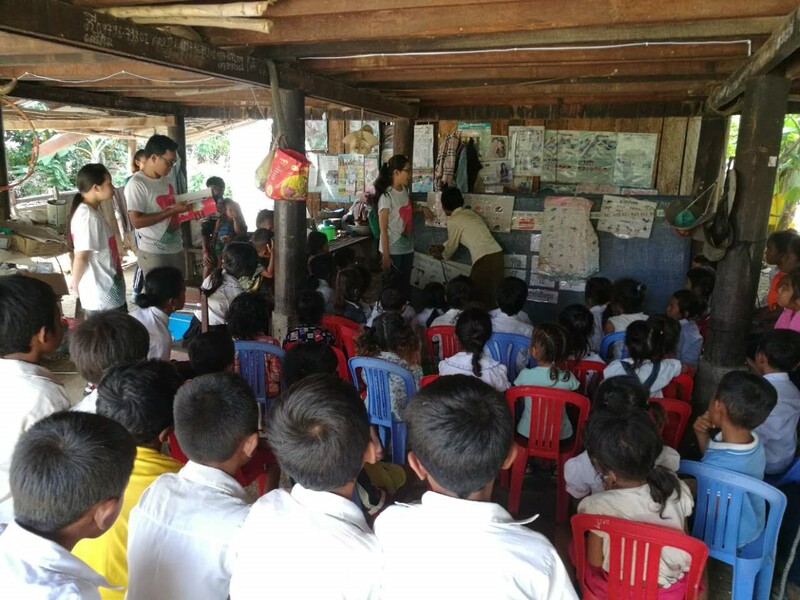 The children often suffered from acute physical and psychological illnesses and many were unable to access to the mainstream education system. The conditions of some children were quite severe that they could not move or eat by themselves. However, they were happy to see visitors and liked to take pictures. We talked to them and helped feeding them at lunch. The staff there also gave us a tour around the center and discussed what needs to be improved. On behalf of GYLN Canada Chapter, we also made donations to Dasitos de Luz Child Sponsorship Fund for the children’s food and clothes. 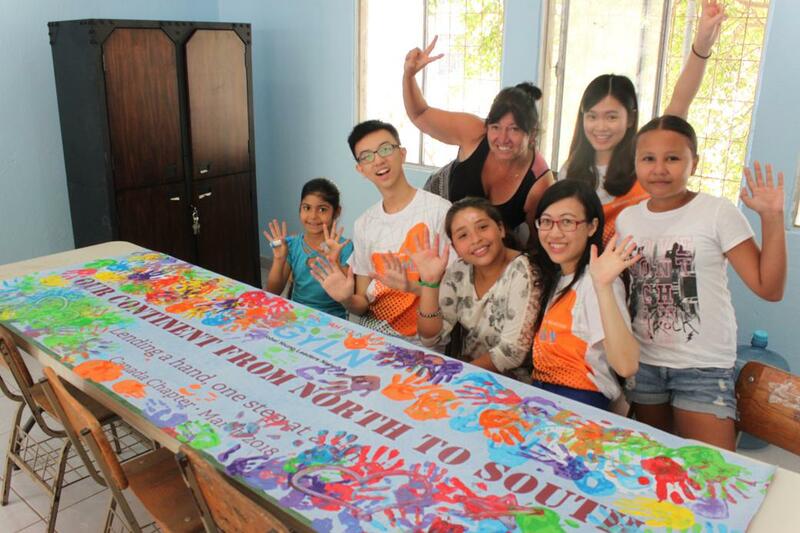 After this trip, we realized that our assistance could make a big difference to the schools and local communities. However, that was not enough. The library still needs more books and laptops as the school has about 100 children who would like to use the resources. 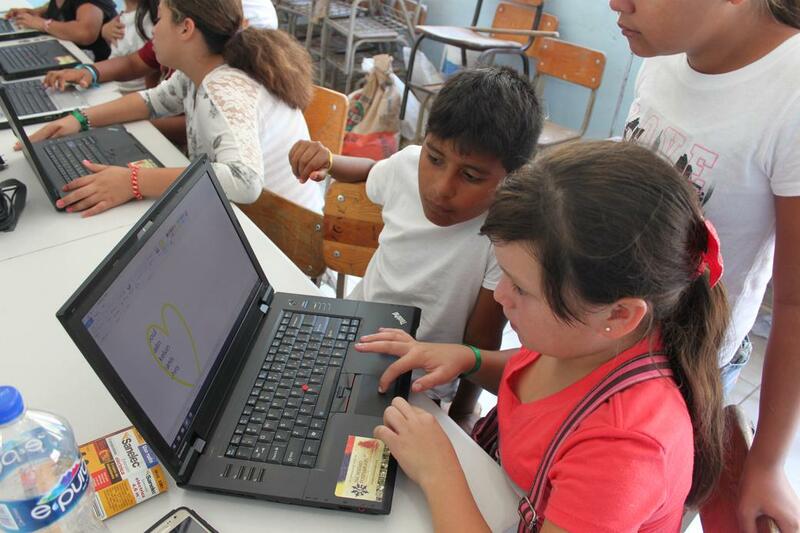 We visited only one class and the laptops were not enough for the children. The library now contains valuable laptops and needs to be secured. Cynthia has been a volunteer for the school and she wishes that the school would be able to hire a part-time Spanish teacher to lead and manage the school program on their own. 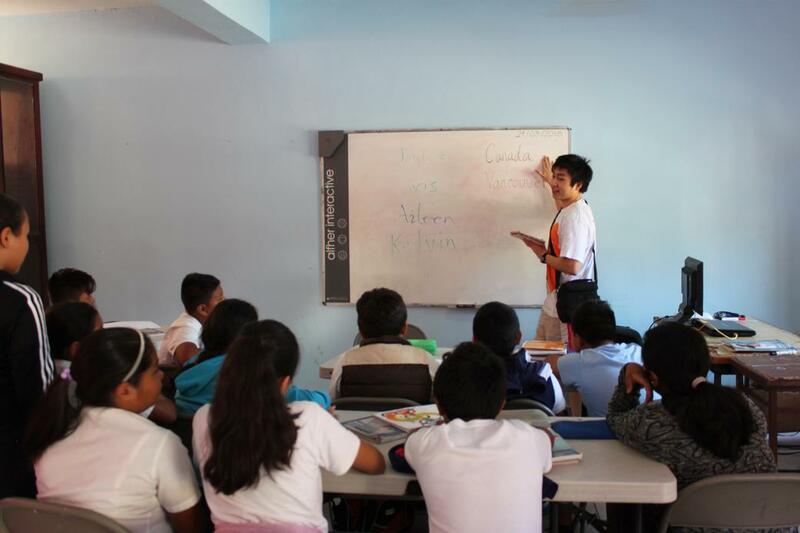 There is many more works that can be done to provide support for the children so that they can continue with their educational goals. 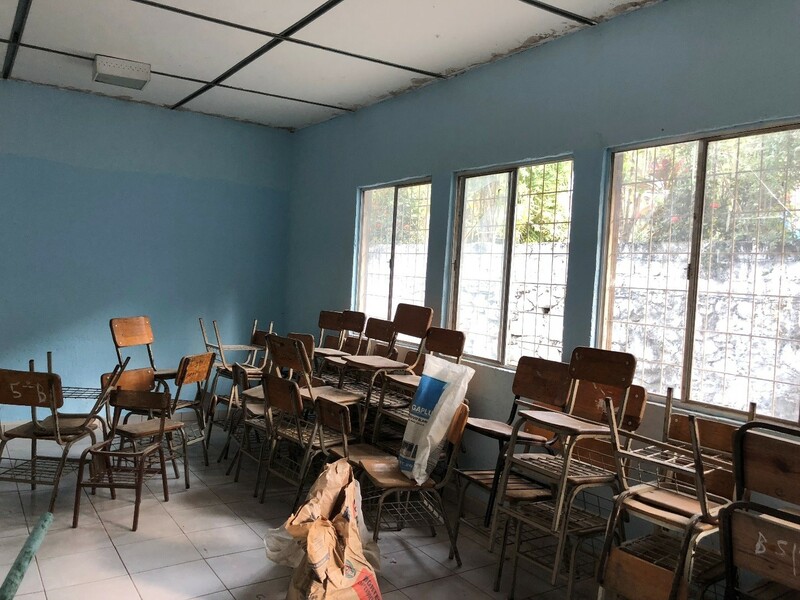 Under Sunwah Foundation’s sponsorship, this was our first project in Mexico and we would like to thank Isa Mundo for the collaboration and guidance on this. The partnership went very well and we believe that we can continue to work together in the future to serve the communities better. Description: The Dream Garden Project is the winner of last year’s internal project debate contest to become the main-SCA project of the HCMC chapter in 2017. 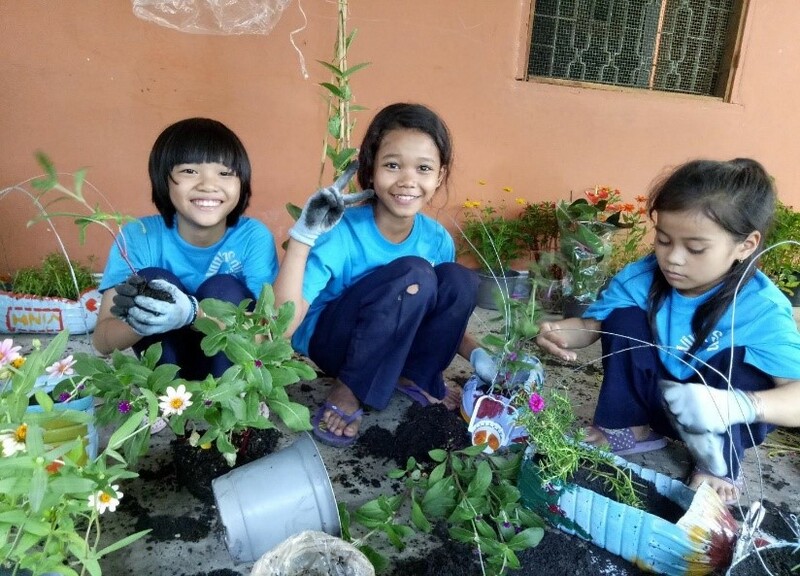 The project aims at nurturing children’s mindset of loving and protecting the natural environment, at the same time, educating them about the ecosystem, biological system and gaining knowledge through hands-on experiencing sessions of tree planting and natural science experiments in the garden. 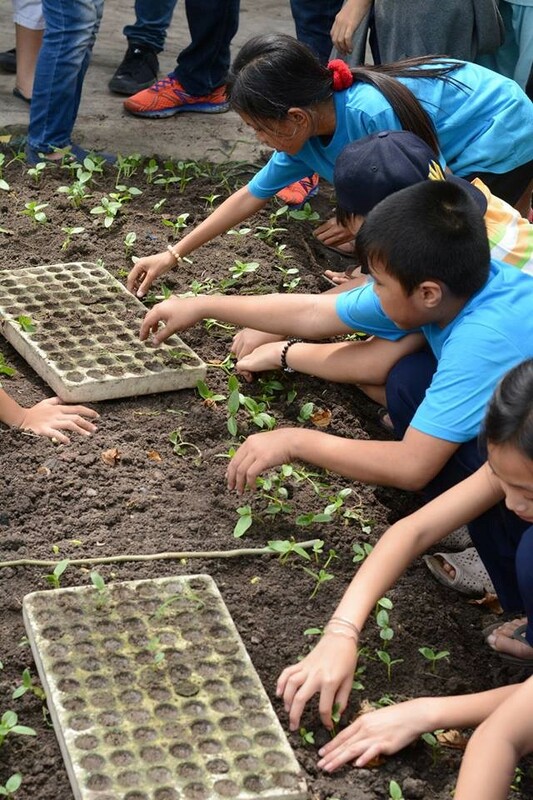 Children also learn how to grow vegetables and later use them to improve their healthy diet. – Every child chose a nickname and participated in activities. – Kids divided into 3 groups to plant seeds and put the soil into the designed bottles and wheels. – Dye the flower to know how the root and the trunk for a tree, stem for flowers work. – Play at Kiz citi – give gifts and notebooks with all wishes to the children. 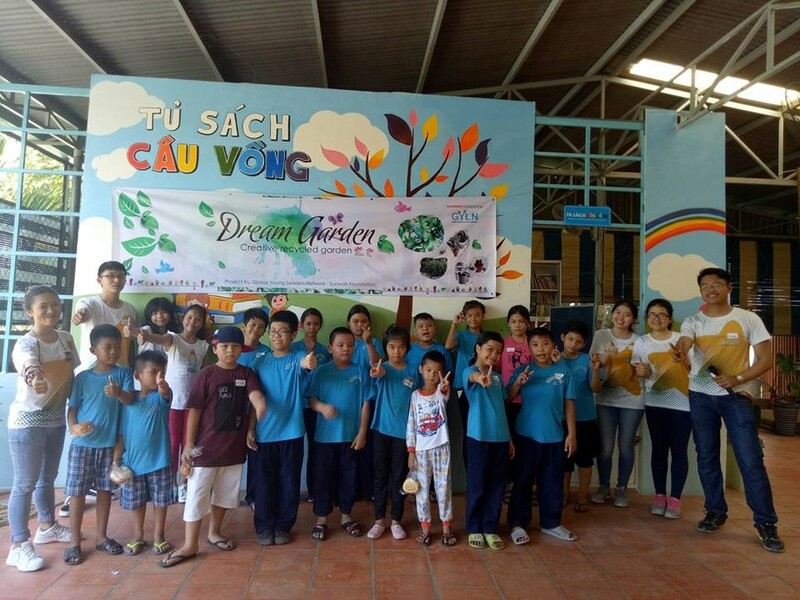 Inspired by an idea of helping children learn about nature, “Dream Garden” project was planned and implemented by the GYLN HCMC Chapter. 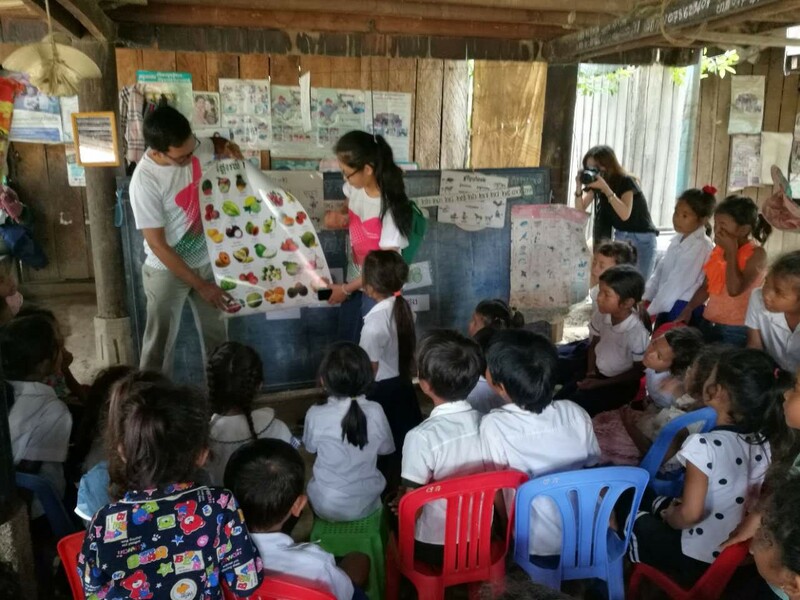 This social project aims at bringing opportunities for disadvantaged children to learn more about the ecosystem, environment and planting technique. 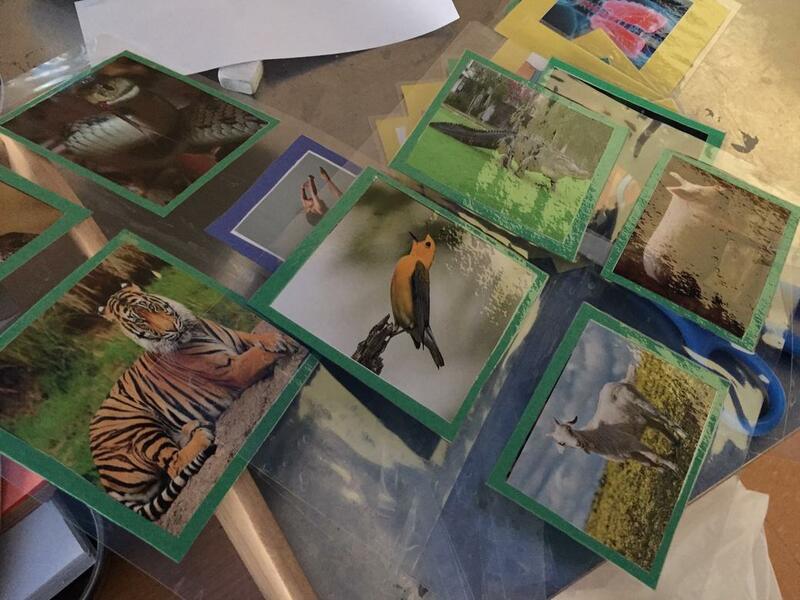 During the project, many challenges arose. 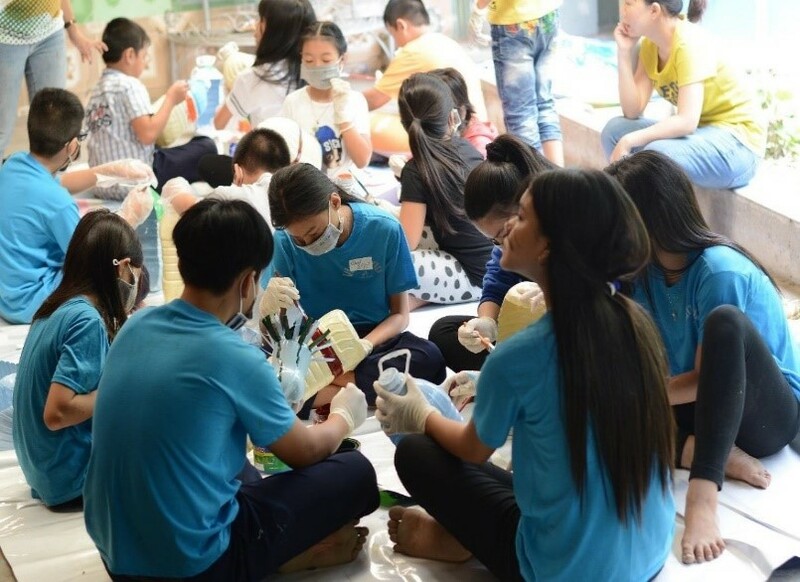 The first challenge was that most orphanages in Ho Chi Minh City lack needed space for running the program, including teaching and practicing space. We had to spend more than 3 weeks on looking for the most suitable place. 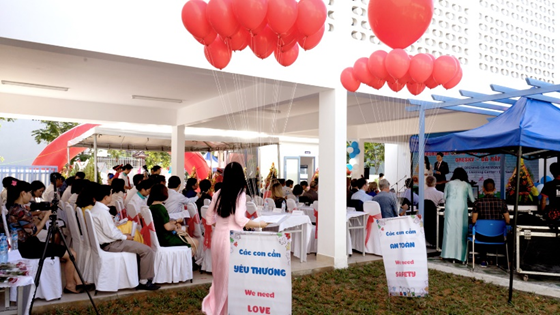 The chosen place was Vinh Son Orphanage located in the city suburbs. That is the charity school providing free education for more than 100 children aged from 7 to 12 who have not had opportunities to go to public school. On the first day of the project, despite careful preparation, we had to confront some difficulties. We found it hard to deal with hyperactivity and the lack of general knowledge in most of those children. At that time, patience was the key we had to have. 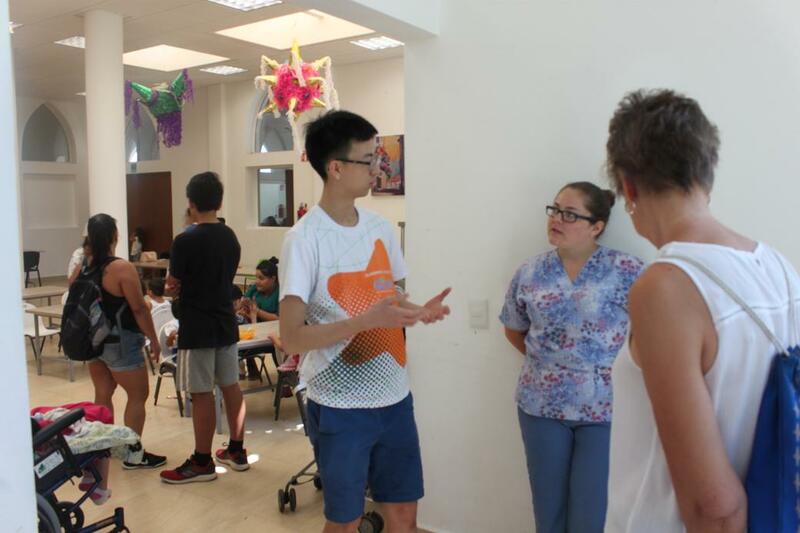 In the first two weeks, we tried to teach them some basic knowledge about biology combined with interesting learning activities in order to make the lessons easily understood. 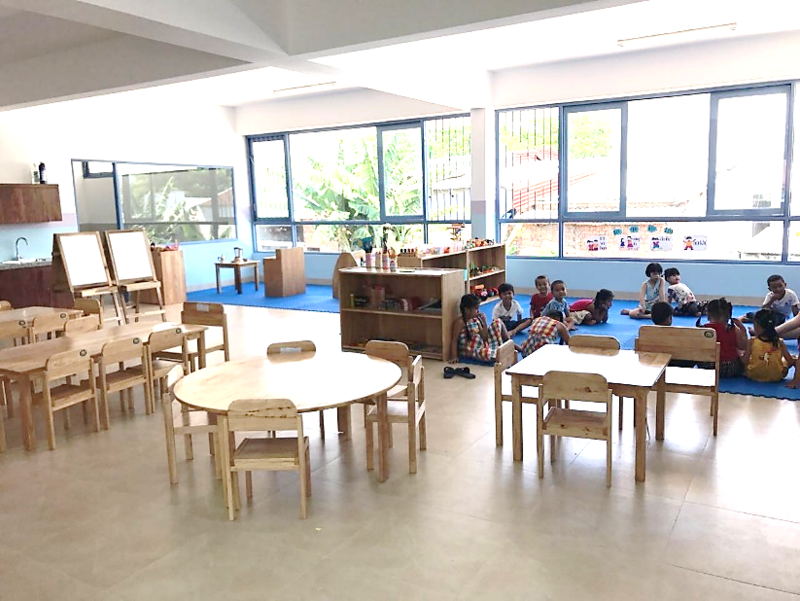 Our little students started to show more curiosity after each lesson, many questions were raised concentrating on knowledge such as the growth of the plants, food chains in nature, the energy cycle and so on. We also motivated them to engage in lessons by giving little gifts for hardworking individuals and preparing lunch for them every week. With the vision to raise their awareness about the environment, we used recyclable and eco-friendly materials during the project. In practice time, children were encouraged to design their own pots from recyclable bottles. They showed their enthusiasm and great creativity when practicing. We divided the garden into two parts. One part was cultivated for vegetables planting. The other was used to plant bonsai trees. 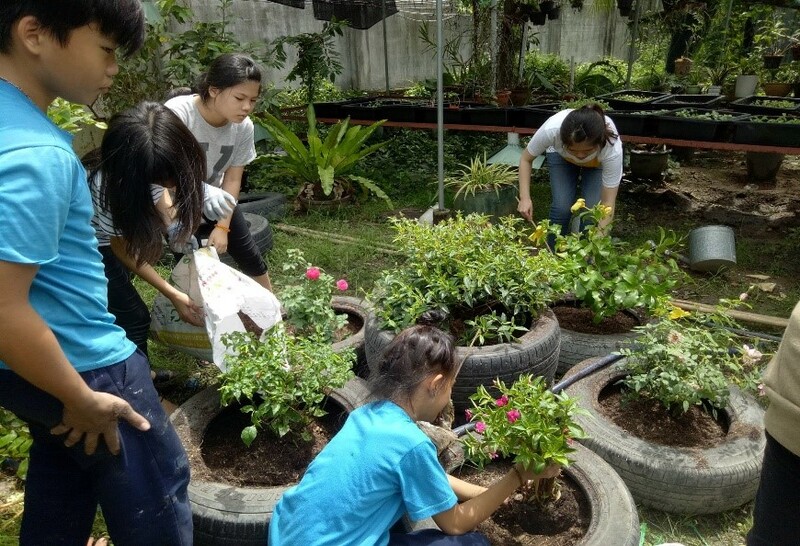 The previous abandoned land now became a colorful and lush garden built with love, dreams and hope of all participants. The last lesson was not held at school as usual. 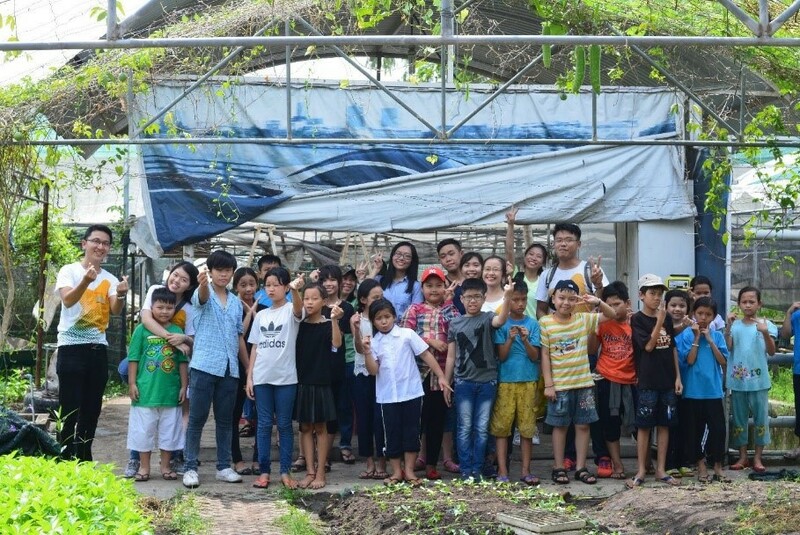 We took the children to an organic farm in Tan Binh District to provide them with an opportunity to learn outdoors and engage with nature. They were instructed to distinguish various kinds of vegetables, seeding, using organic fertilizers, watching nursery garden, observing sprinkler system. In the afternoon, we went to Kiz Citi – an entertainment center associated with vocational education for youngsters. They enjoyed the games available in the center. Then, the project team summarized the whole program, complemented those who had good improvement, gave presents and took a lot of photos. The project was implemented in two months, including 16 lessons relating to the ecosystem, environment and planting techniques and 8 planting activities. The garden was created with 6 various kinds of vegetables and 12 kinds of bonsai. During the project, we received many positive feedback from the headmaster and children at the orphanage as well as the teaching staff. 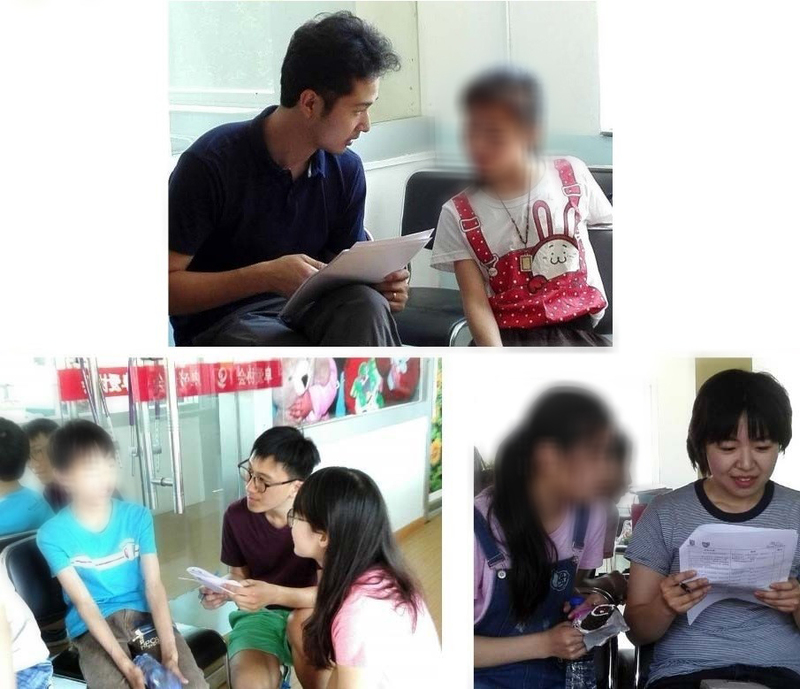 Especially, there is one autistic child who participated in our project. His parents shared that they took their child to many hospitals and disabled centers in town, but his condition did not improve. After participating in the Dream Garden project, he showed signs of being open with his family members and being more sociable and friendly to make friends. We will attach the importance of improving so that our lessons will provoke the curiosity of children more and more. 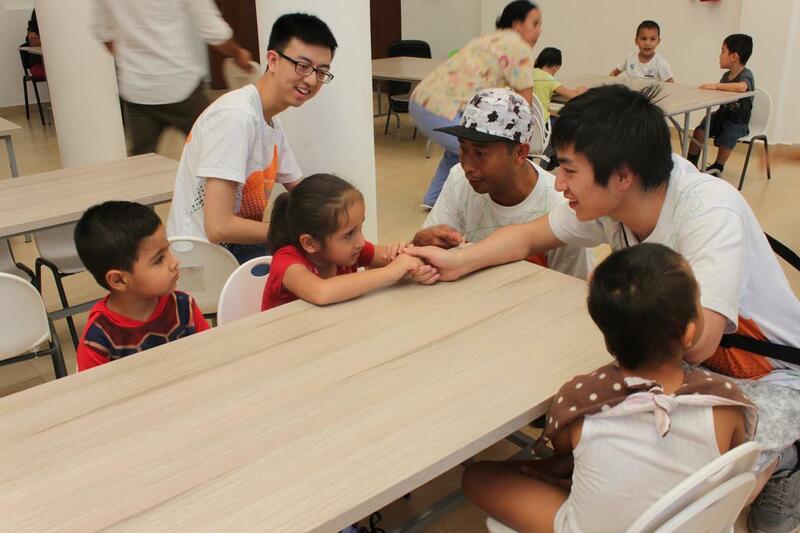 In the next stage, the target is to bring this project to more 250 kids in HCMC. Moreover, we hope that our dedication will contribute a better future to a young generation. Half the Sky (now OneSky) was founded by Jenny Bowen in 1998 to enrich the lives and enhance the prospects for orphaned children in China. Today, Half the Sky has become OneSky, a global NGO that has transformed the lives of many thousands of marginalized children and helped a nation to rethink its entire child welfare system. OneSky has directly transformed the lives of more than 138,000 orphaned and abandoned children and trained over 19,000 caregivers. 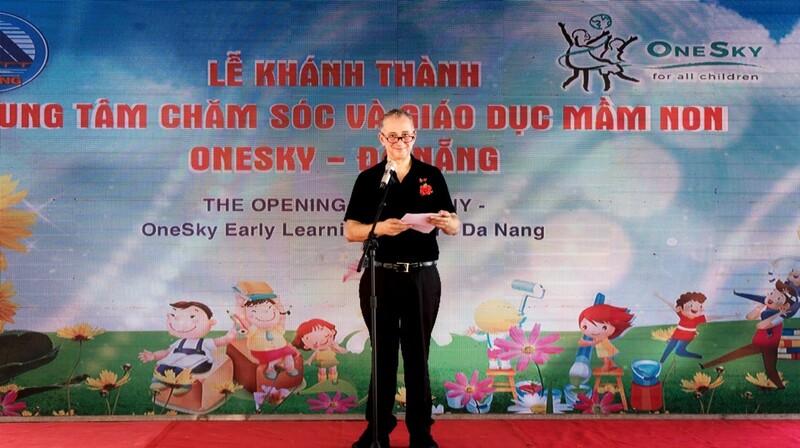 After 18 years of working to understand the best way to give orphaned and abandoned children a second chance during their childhood, OneSky is taking what they have learned and expanded their mission to help children of factory workers in Vietnam. 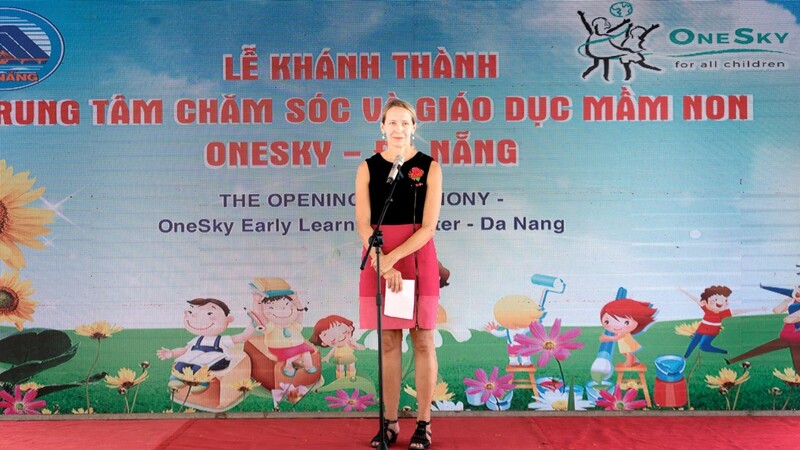 OneSky Early Learning Center Danang is a new and sustainable model center which aims at approximately 250 at-risk children who live in the Hoa Khanh Industrial Zone in Da Nang to provide a safe place to play and learn for small children. The center is designed to transform the lives of vulnerable children near factory zones whose parents labor in factories. This model can be scaled to serve more and more children across the entire country. 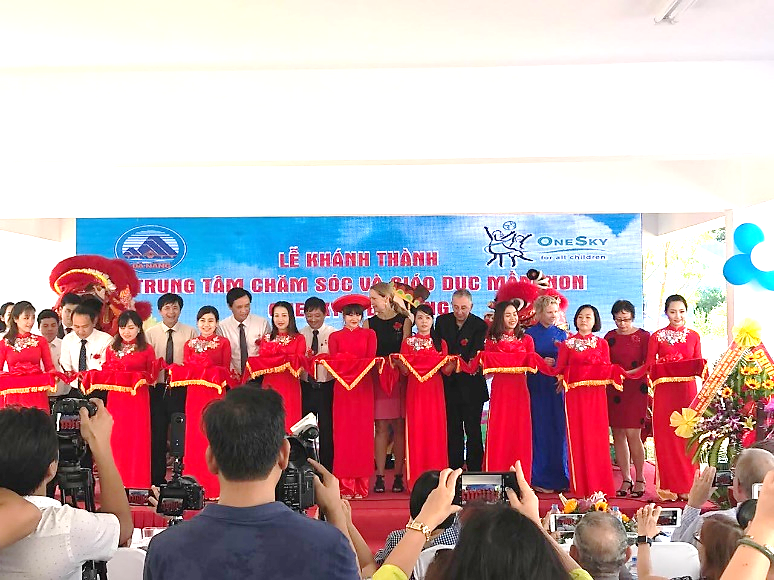 On 9 September 2017, Ms Katie Nguyen, Assistant to Sunwah Chairman, and two representatives of Sunwah GYLN Hanoi and Ho Chi Minh City Chapters, Ms. Tran Thi Thanh Huong and Ms. Phan Tuong Yen, attended the Opening Ceremony of OneSky Early Learning Center in Danang. The Ceremony was conducted in a warm and friendly atmosphere. Attendees were strongly impressed by the choir of nurses/ teachers and children of the center. 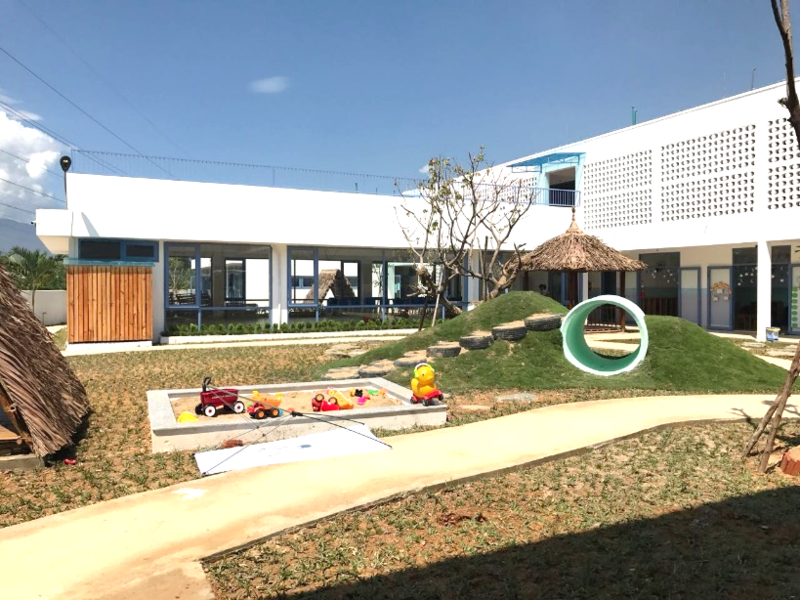 Everyone was so excited to see this wonderful place providing early learning and care for vulnerable young children of the poor factory workers. After the ceremony, the GYLN representatives paid a visit to the center which is effectively designed to utilize natural lights and maximize the space usage for facilities and leave sufficient room for a children’s playground. Children at the Center were very nice and so adorable; they behaved very well and always greeted teachers and adults with smiles. There, we had a chance to meet and talk with Ms. Carol Kemble, Chief of Global Partnerships of Half the Sky Foundation. Ms. Carol Kemble was so impressed and excited to listen to our sharing about Sunwah GYLN and its 9 chapters at all corners of the world, especially the HCMC and Hanoi Chapters, with the projects that have been conducted such as Social Services Days in 2013 and 2015, the Photo Contest & Exhibition for students across Vietnam in 2015, GYLN-HCMC Chapter’s latest project namely “Dream Garden”, and especially the project to build kindergarten in mountainous areas done by Sunwah some years ago. Ms. Carol Kemble also shared many wonderful thoughts and stories about creating positive values and spreading those values to the community, about the responsibility of everyone in the society. We were really inspired by this spirit. Not only talking with Ms. Carol Kemble, the Sunwah team also had the opportunity to talk with Mr. Guy Russo, Global Chairman of Half the Sky Foundation and Ms. Natalie Campion, Chief Development Officer of Half the Sky Foundation. Mr. Guy Russo was interested in and very impressed at the projects on children and youth that Sunwah GYLN has done over the years. 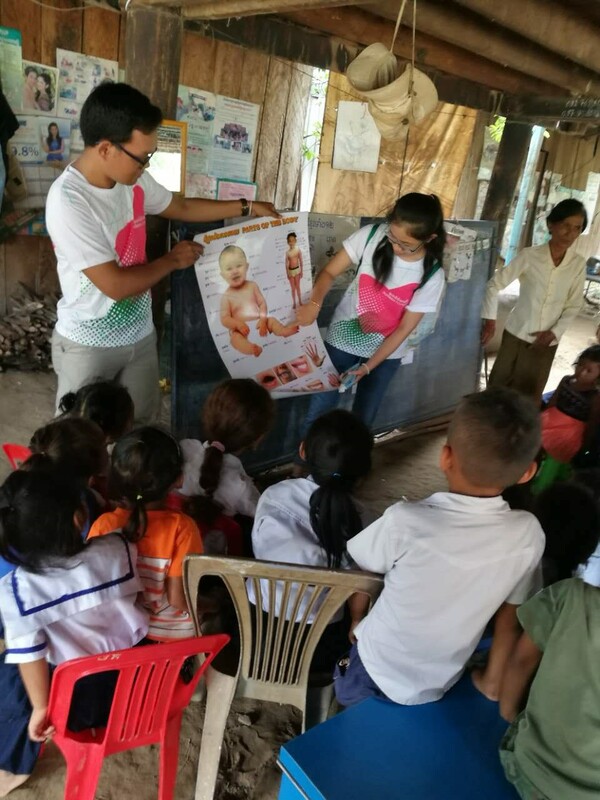 He shared the reason why OneSky has developed and implemented nurture and education programs that help to change the lives of vulnerable children. 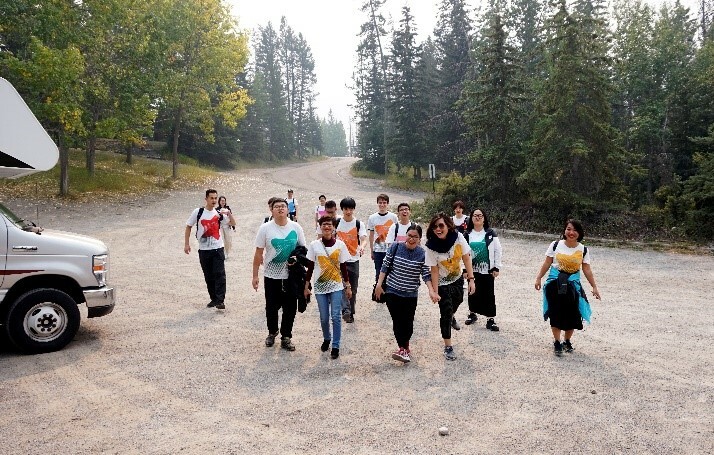 The Sunwah GYLN representatives also talked about its mission to exercise community activities and suggested the possibility of collaborating with OneSky on future projects, especially those involving children and youth. The conversation was extremely interesting and opened opportunities for potential cooperation between the two sides. 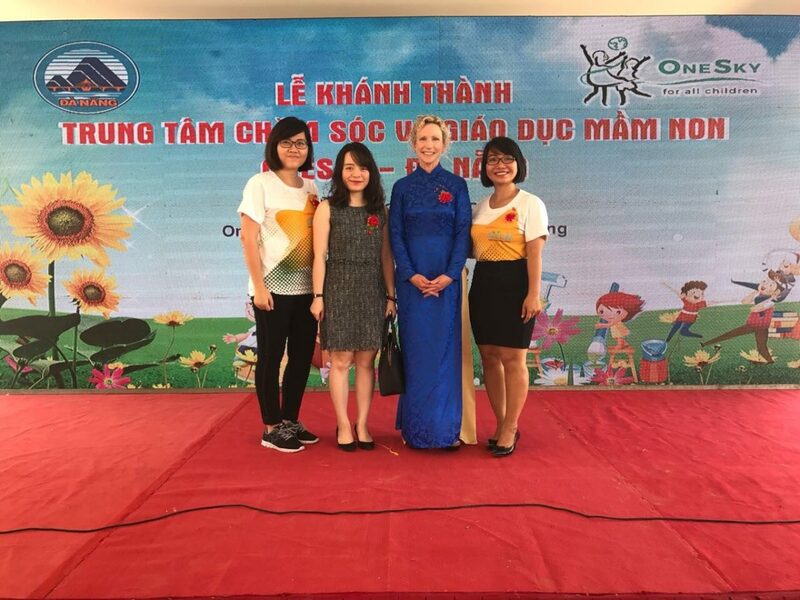 After the Danang trip, we were very impressed at the organization of the Opening Ceremony which was simple but effective and touching. We found out that the OneSky organization has many projects on early education and education for children with special needs. 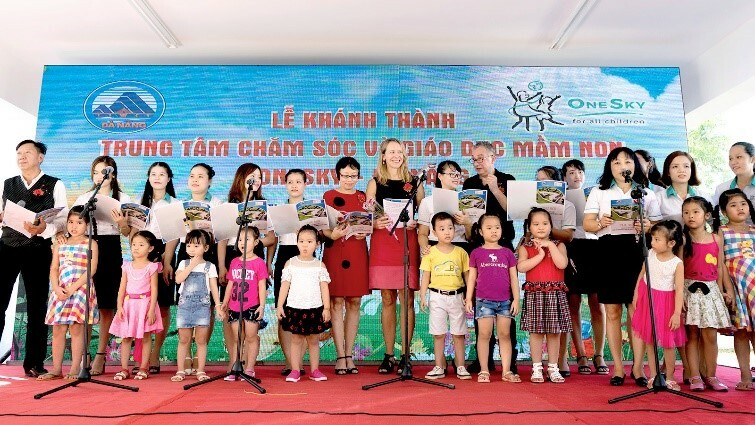 Moreover, they have a quick approach to arrive at projects providing daycare for children of workers in industrial zones – which is in high demand but not yet much in existence in Vietnam. Additionally, we were inspired and learnt a lot how they turned their ideas into a project and implemented it effectively. 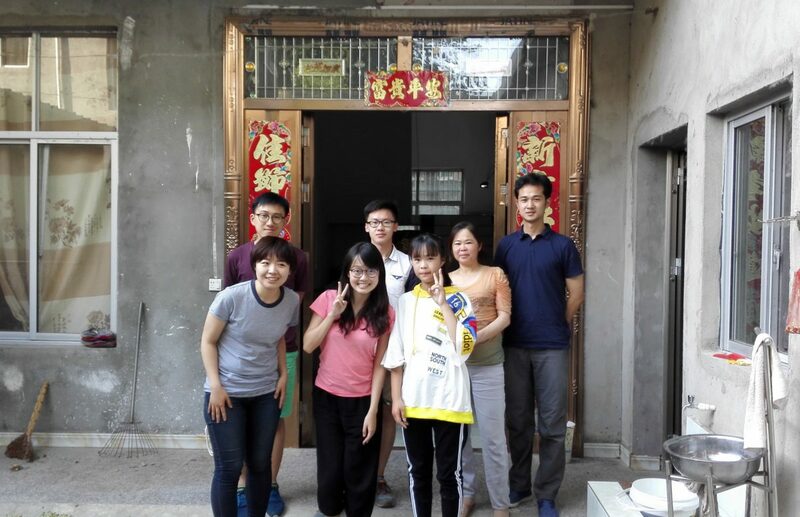 We will share our experience with our fellows in Sunwah GYLN. When we arrived the school, those children were very happy, and warmly welcomed us. 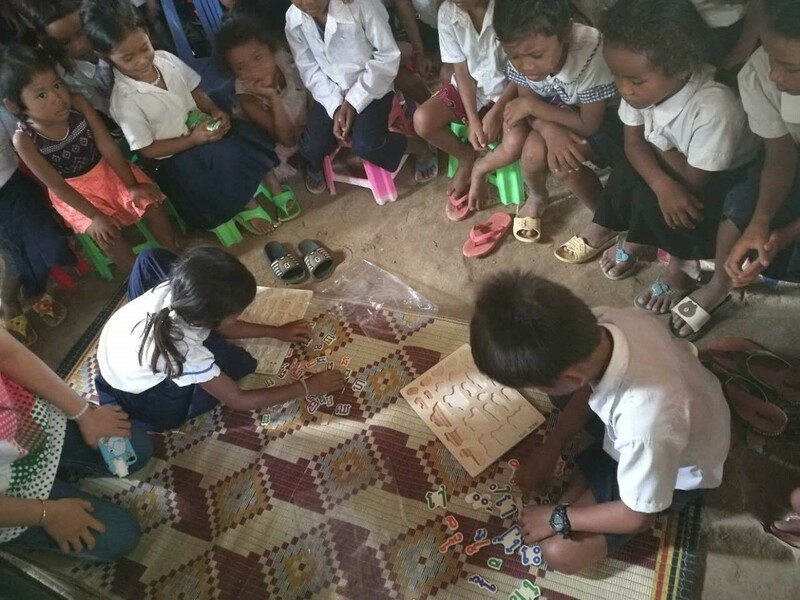 Our team started playing many games with them, like coloring the pictures, counting numbers/consonants/vowels reversely, jigsaw puzzle etc., we felt so impressed with their ability that is almost as strong as the ability of grade one or grade two primary school students. 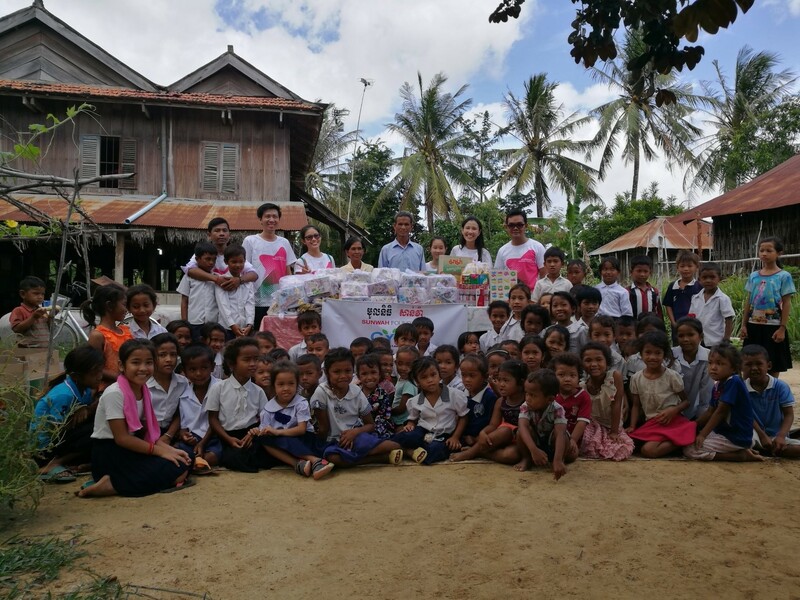 After interacting with them about two hours, we finished our event by delivering them some studying materials and snacks, and taking many group pictures happily. Finally, the authority, teacher, and students had expressed their gratitude to our team and Sunwah Foundation for organizing this event, and they also invited us to visit them next time. 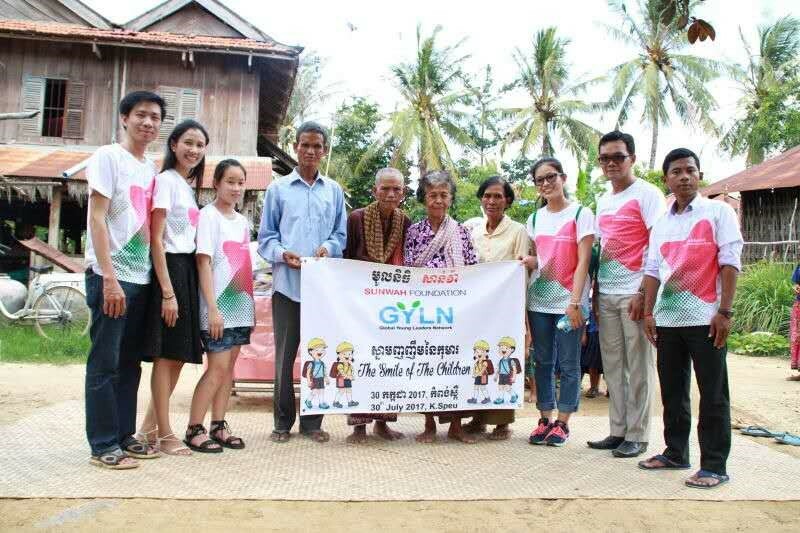 Through this event, GYLN members and volunteers understood more about the studying situation of these children, and we could see their smile and happiness when our members were playing with them and providing them many materials. 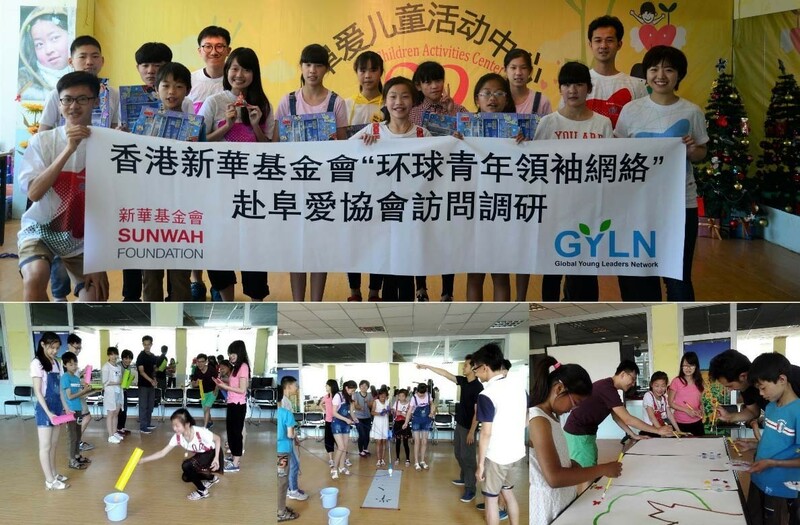 We hope we could have another chance to visit them again, and we hope Sunwah GYLN can do more meaningful events for other disadvantaged groups. 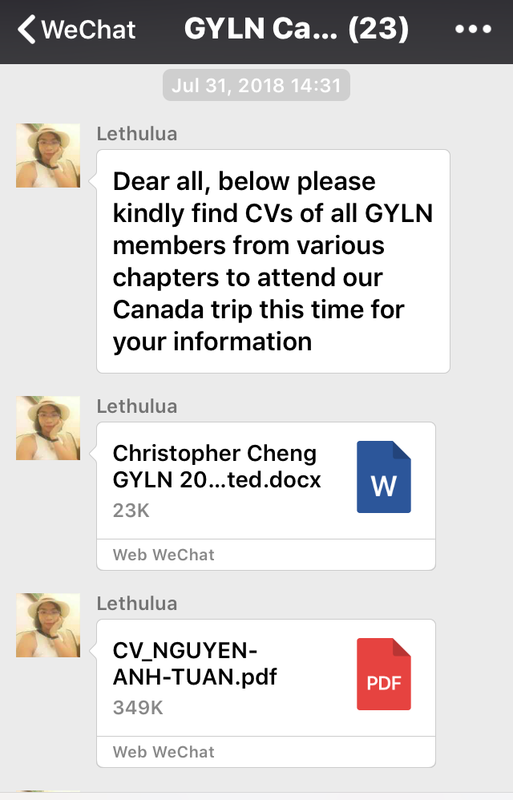 Meanwhile, we will try to build up our GYLN Cambodia Chapter team with creative and committed youths. 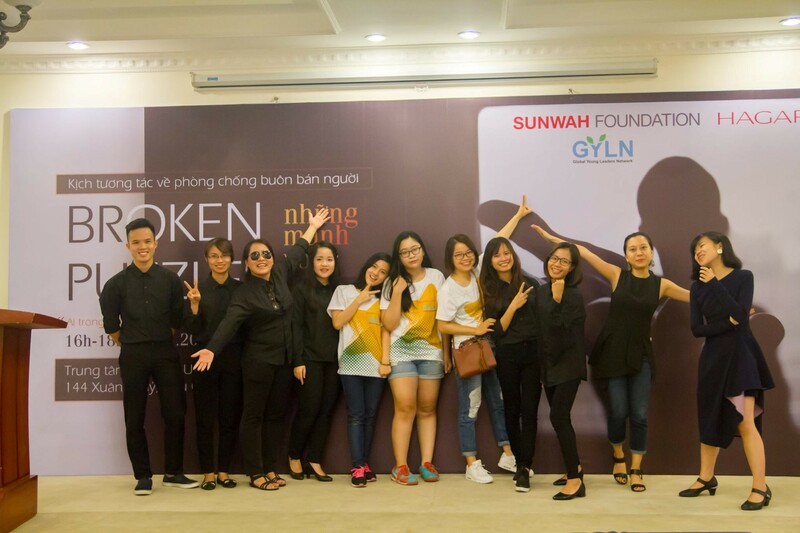 Awareness of this issue motivated Sunwah GYLN Hanoi Chapter members to launch a project regarding human trafficking. 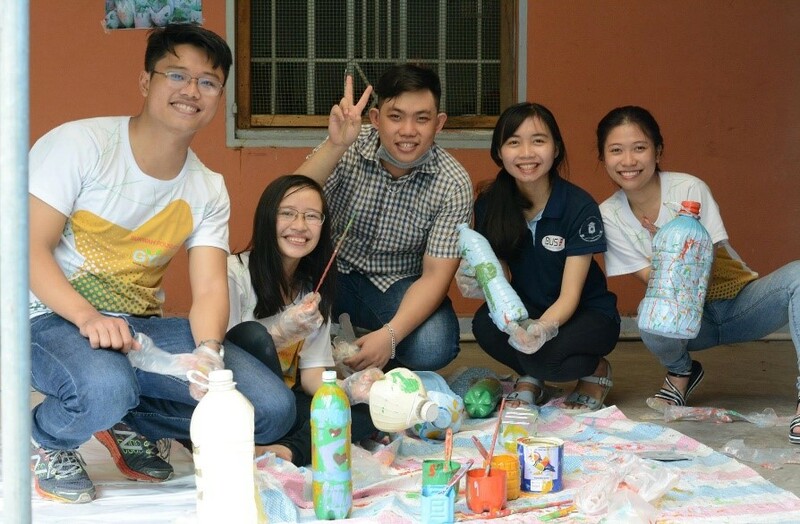 To exactly reflect the situation of this matter, Sunwah GYLN Hanoi Chapter co-operated with Hagar Vietnam to run an interactive puppet theatre performance which aimed at raising awareness of anti-human trafficking. The performance was named “Broken Puzzles”, held on the 30th July 2017 – precisely on the World Day against trafficking in persons. Hagar, an international non-government organization, established in 1994 and registered in Switzerland, provides individualized and long-term support to women and children survivors of human trafficking, domestic violence and sexual abuse. In Vietnam, Hagar’s important partners are government agencies such as the National Child Helpline under the Department of Childcare and Protection, Social Work Centers in the provincial Departments of Social Protection (under the Ministry of Labor-Invalids and Social Affairs); non-government organizations and social enterprises including Blue Dragon Children’s Foundation, Tea Talk & CoRE, REACH, etc. In particular, Hagar Vietnam is a long-time partner of Vietnam Women’s Union, a government body that operates throughout Vietnam at four administrative levels including central, provincial, district and commune ones with a total membership of above 13 million women and is mandated to protect women’s legitimate rights and strive for gender equality. At present, Hagar is partnering with the Yen Bai provincial Women’s Union on a project to provide support to survivors of human trafficking, violence and abuse. All core team members of this project came from the Sunwah GYLN Hanoi Chapter. 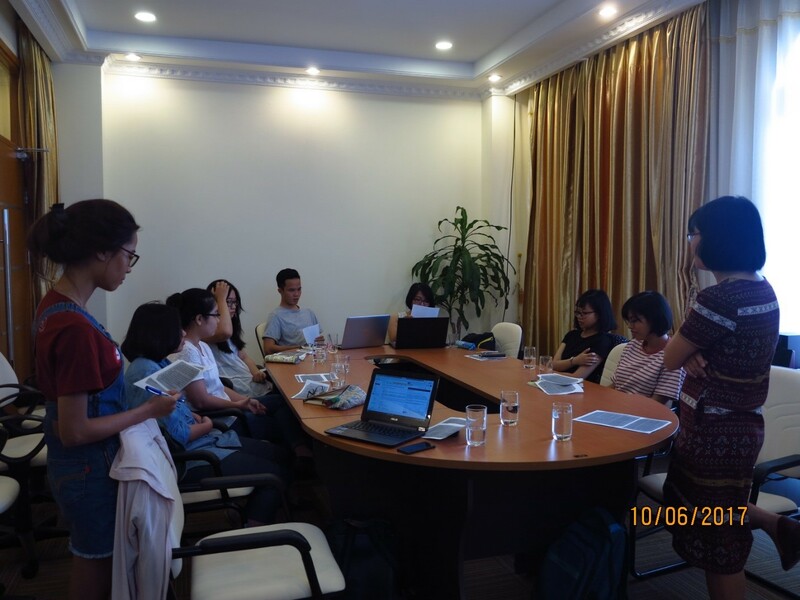 They were provided with two days of training by Hagar Vietnam to gain human trafficking basics and understand more about behavior change communication. The trainings took place at the meeting room on the third floor of the ULIS-Jonathan KS Choi Cultural Centre. 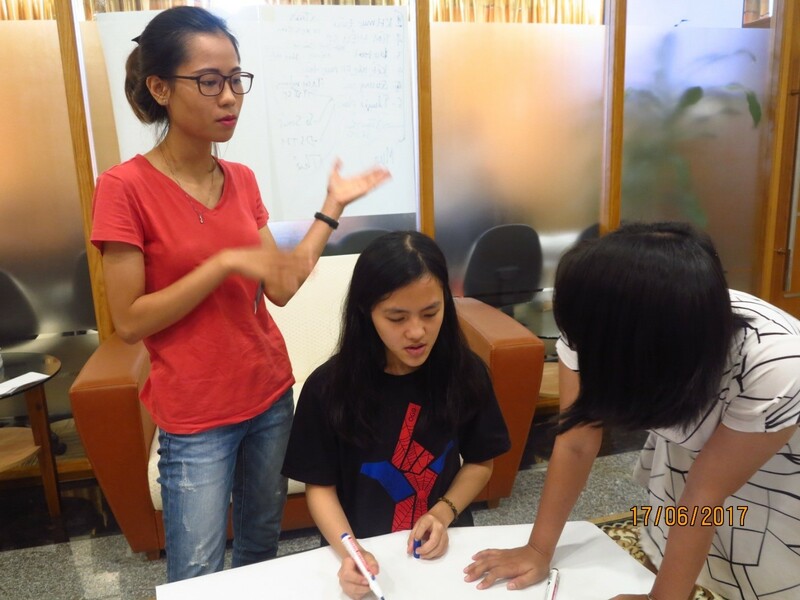 During these trainings, there were various activities designed such as situation analysis, problem solving, team work and presentation about all issues related to human trafficking. 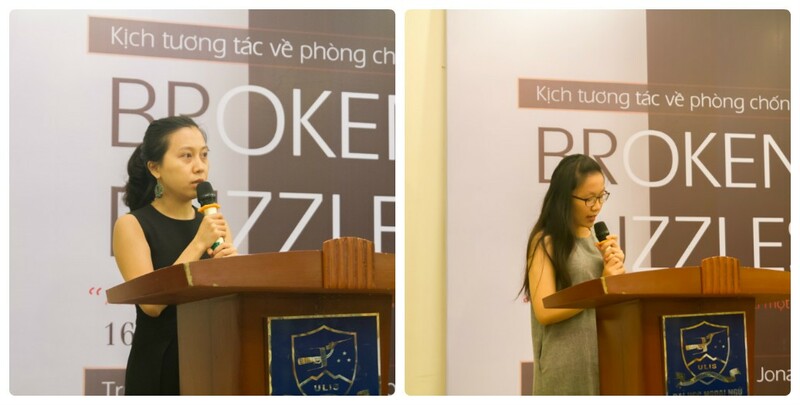 “Anyone of us could be a victim or accidentally become part of human trafficking” is the message that Sunwah GYLN Hanoi Chapter would like to send to everyone through the project named “Broken Puzzles”. 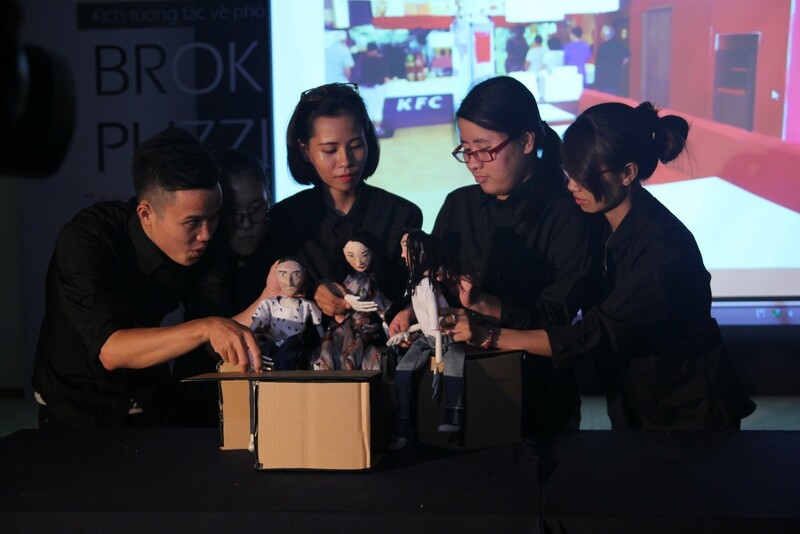 It was conveyed via an interactive puppet theater to provide an insight into the human trafficking to the audience in a new approach, hence raising awareness of preventing human trafficking, as well as strengthening the role of the arts in propaganda. All of the core team members of Broken Puzzles were trained and guided on the technical requirements of controlling the puppets by Ms Pham Trang My Linh, an artist who graduated with Bachelor of Arts Theatre and Film making at Sarah Lawrence College. 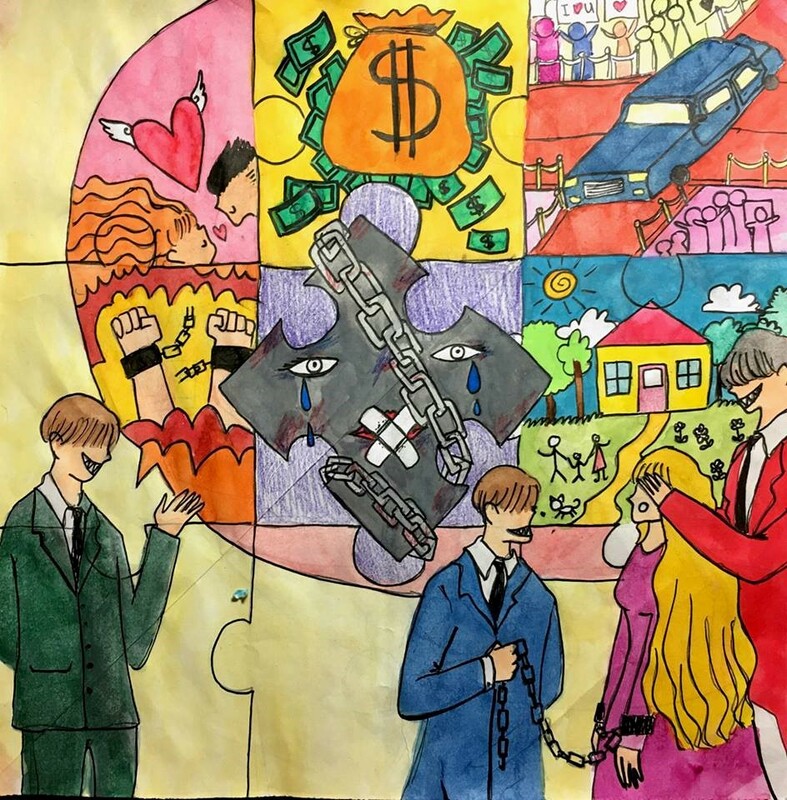 During two months of running Broken Puzzles, in order to spread out the information about this project, as well as raise awareness of human trafficking for everyone via social media, all of the Sunwah GYLN Hanoi Chapter members actively made a creative and detailed communication plan through various activities such as making a video about the Vietnamese students’ knowledge of human trafficking, drawing a picture diary telling a story of a human trafficking survivor, collecting internet infographics and videos regarding this issue, etc. After two months of hard work, the interactive puppet theatre’s program was officially launched at the Conference hall on the first floor of the ULIS-Jonathan KS Choi Cultural Centre on the occasion of celebrating the World Day against human trafficking, 30th July 2017. The performance attracted lots of audience from various universities, organizations and local community. 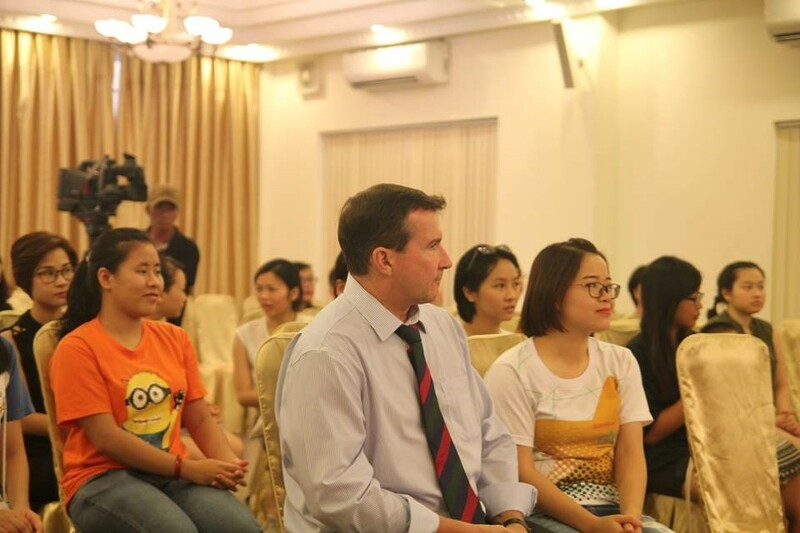 It also honorably welcomed the attendance of Mr. Tim Galvin, Immigration Liaison Manager of Migration Section in British Embassy in Vietnam. At the beginning of “Broken Puzzles”, in order to help the audiences shape a view of this event, the representatives of Sunwah GYLN Hanoi Chapter and Hagar Vietnam delivered brief introductions about their own organizations and the objectives of this project, as well as the outline of “Broken Puzzles”. 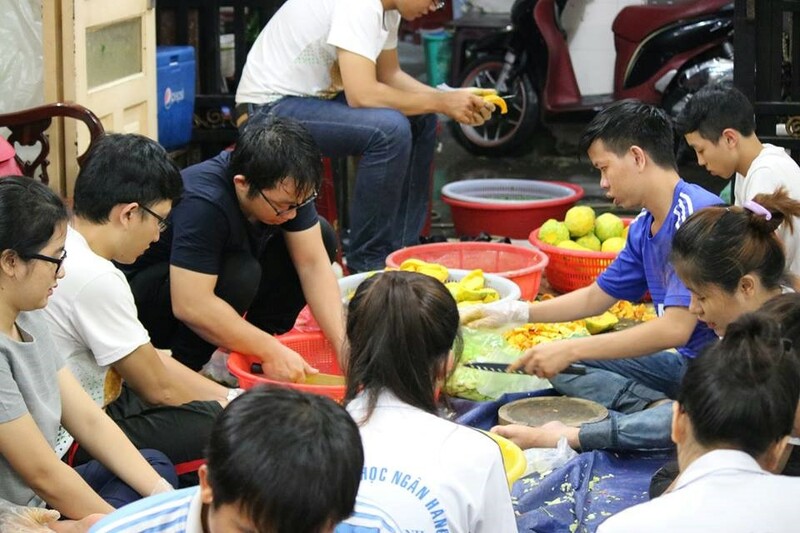 In particular, Hagar Vietnam emphasized the importance of the contribution of young people in fighting human trafficking and highly recognized the passion, commitment, creativity and proactivity of core team members of Sunwah GYLN Hanoi Chapter in this project. 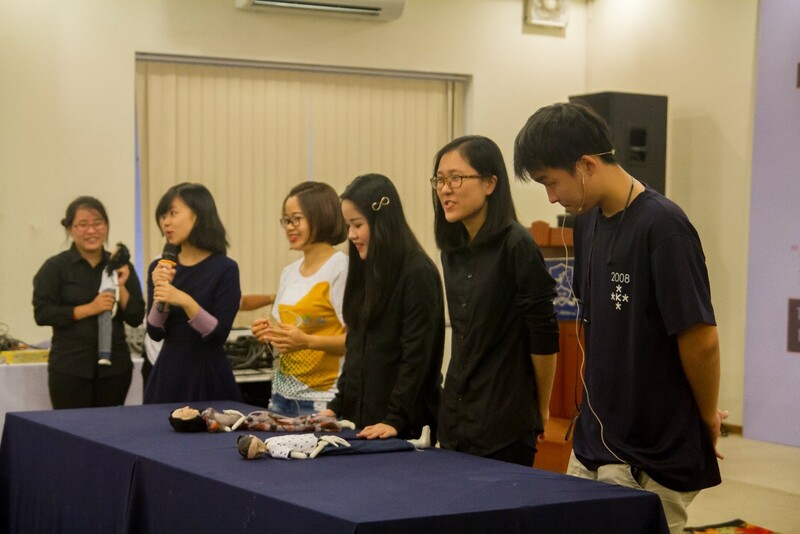 Following the speeches of the representatives of Hagar Vietnam and Sunwah GYLN Hanoi Chapter was the main part of the event: the interactive puppet theatre performance. 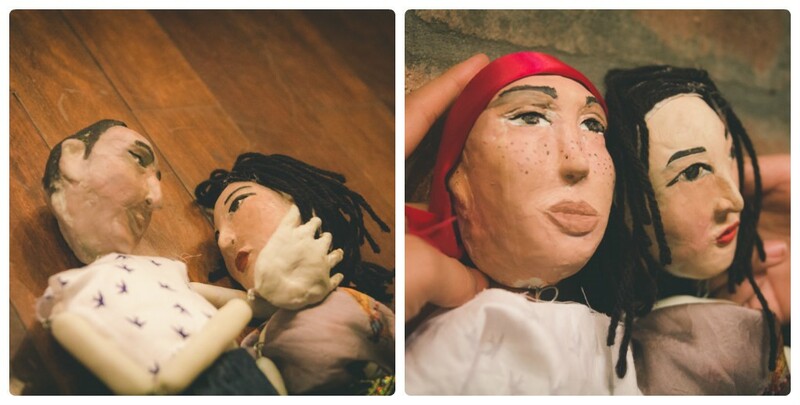 As the name suggests, the story in the performance was open-ended to get the audiences to involve themselves in an interacting session in which they could use their knowledge of human trafficking and use the puppets to complete the unfinished story and give it a creative end. 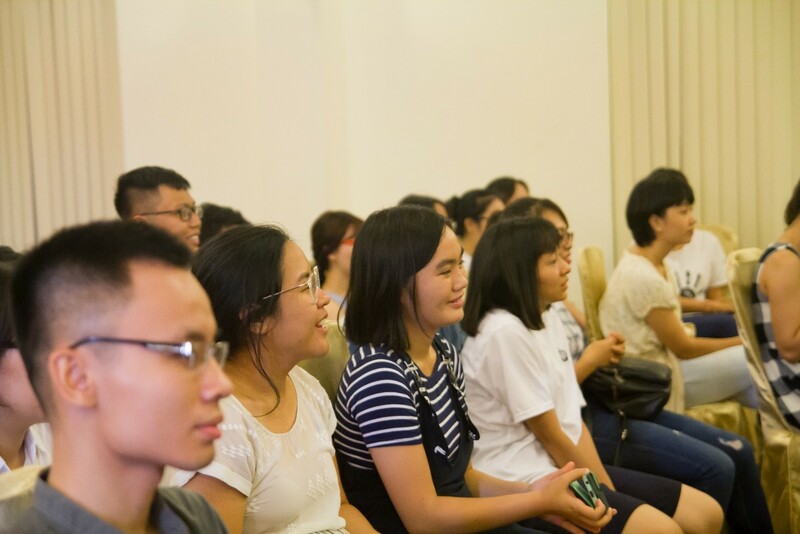 On top of that, the audiences attending the event were in high spirit to listen to true stories shared by Ms Nguyen Thu Huong, an insider of Hagar Vietnam who has been working directly with human trafficking survivors, and to watch a video showing the current status of human trafficking in the world. They also got a chance to express their perspectives and raise questions to discuss with her. 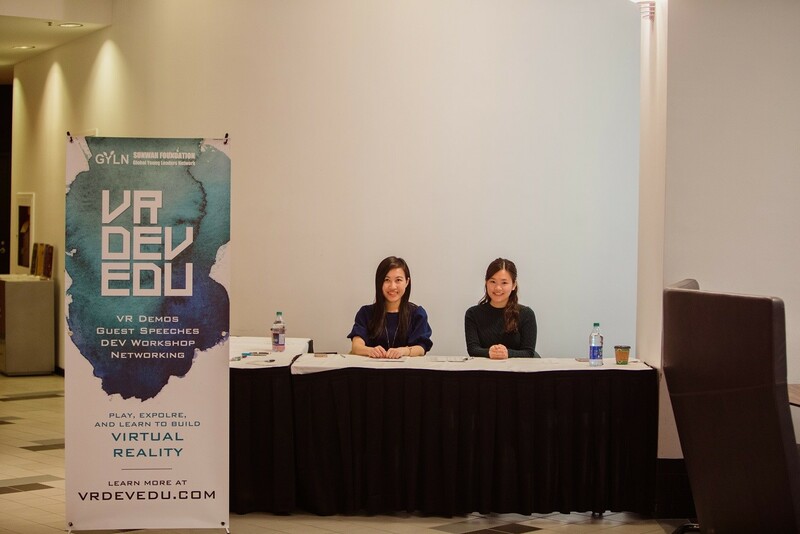 “Broken Puzzles” provided an optimal opportunity for the audience to gain useful knowledge about human trafficking in order to protect themselves and the people around them. 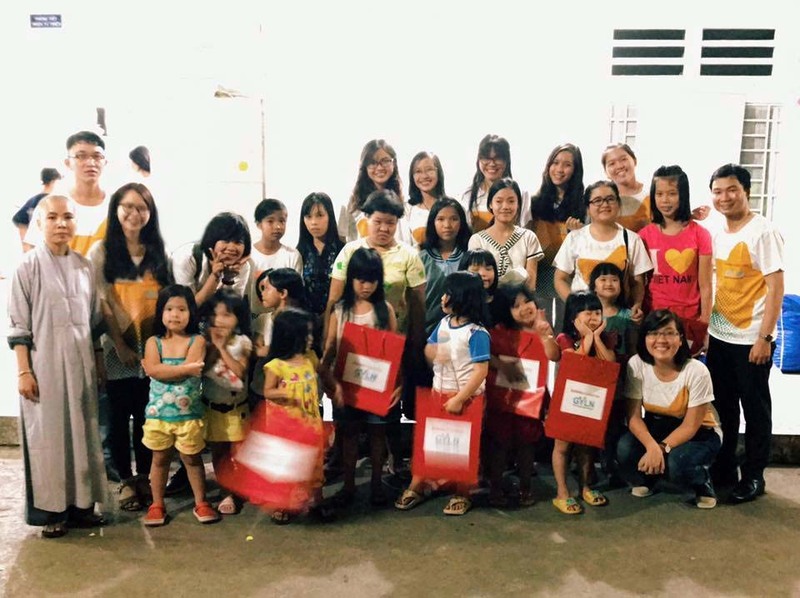 In order to help these children to have a more cheerful Tet Holiday, on the 18 January 2017, our members of Sunwah GYLN HCMC Chapter had gathered and organized play groups for children and decorated the orphanage to welcome the Holiday. We also joined hands with the nuns of the orphanage to cook the traditional “chung” cake and delivered 240 gifts set (including clothes and sandals) for the children. On 5 February 2017, we organized another visit to the Orphanage to deliver and present some bookshelves and books sponsored by Sunwah Foundation (about 100 books) to the children. The nun at the Pagoda center asked us to convey her sincere thanks to Sunwah Foundation and GYLN for having organized meaningful activities and sponsored the children at the center. The visit and delivery of gifts (including sandals for the children to go to school, and pretty clothes) took place in a very cheerful, exciting and meaningful manner. 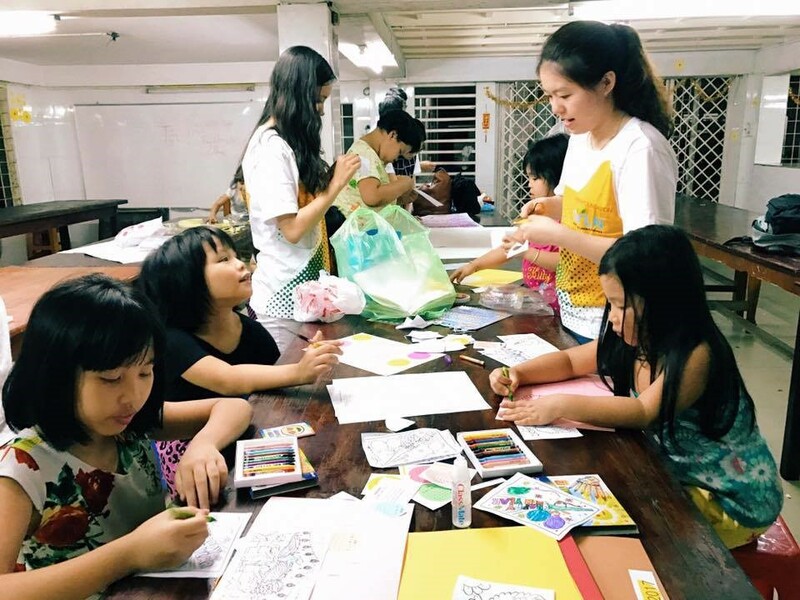 During the visit, the GYLN members also showed their skillfulness at guiding the children to decorate their common living area and make their own handmade cards and calendars for Tet holidays together with the children. 12 GYLN members and more than 50 children at the Dieu Giac Orphanage had a lovely evening together. After the delivery of the gifts, we played games, decorated the kitchen with the kids and listened to their stories. 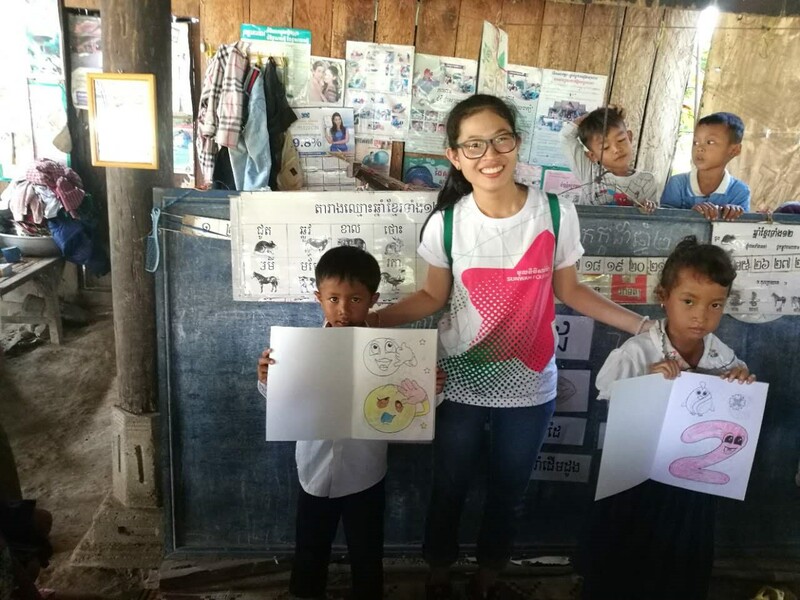 Through these activities, GYLN members could understand more about these children’s daily life as well as their thoughts, their problems and saw how they support each other to create a “Home” with a lot of love and caring despite their own circumstances. Not only did these kids feel happy but also GYLN members learned so many things after the visit. 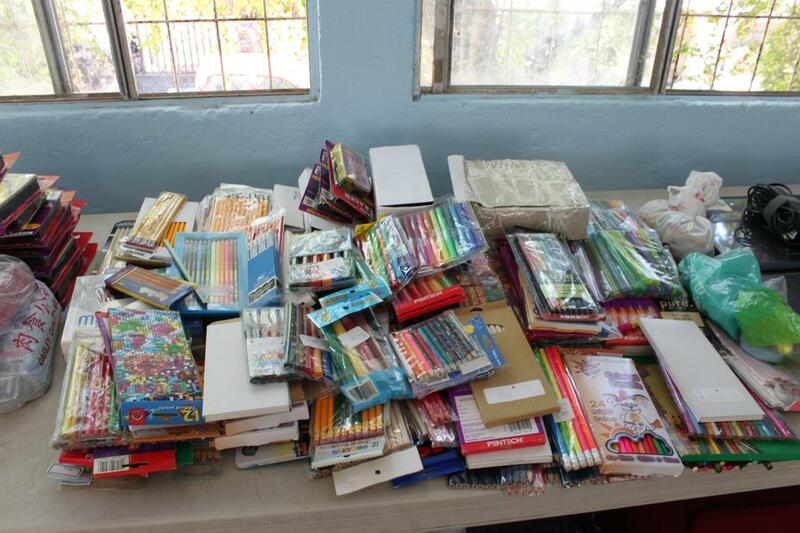 We would like to do more things for these kids, as well as for other disadvantaged groups. Just seeing these children’s happy smiles truly warms our hearts for the rest of the day. 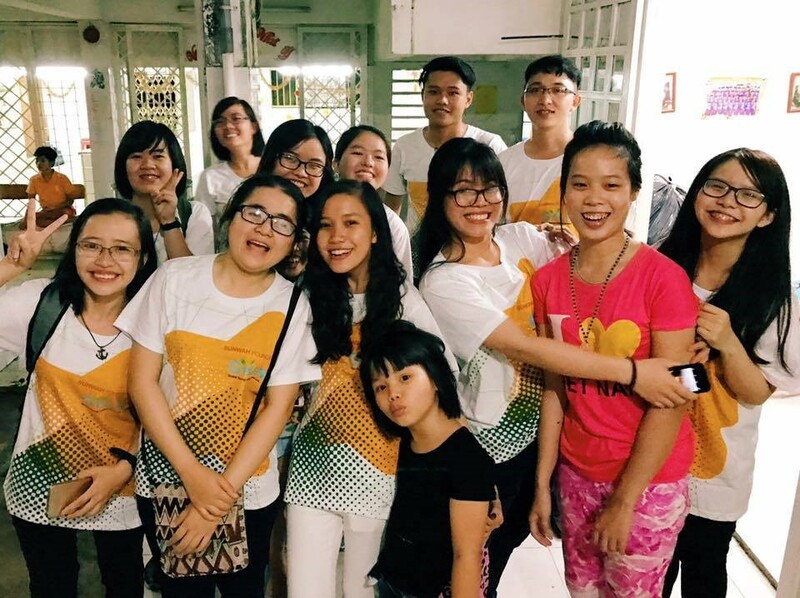 On 10 and 11 June 2017, Sunwah GYLN – HCMC Chapter members cooked and delivered free porridge to patients in Ho Chi Minh City Oncology Hospital. 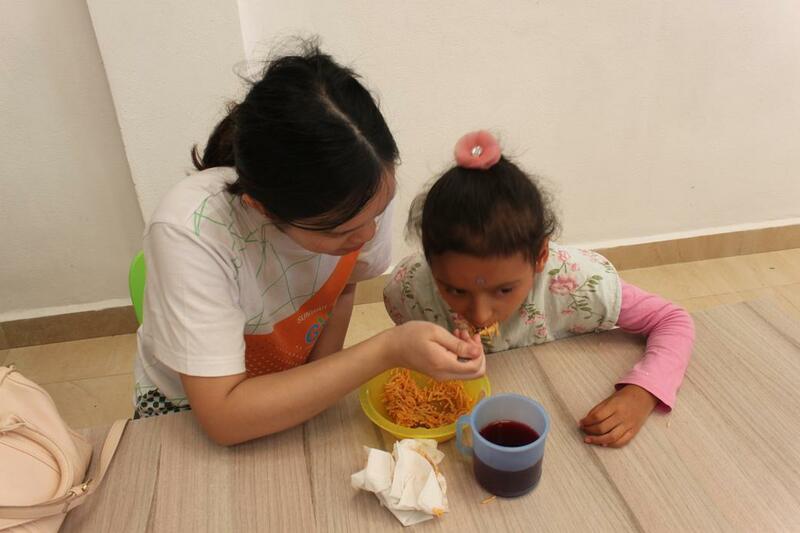 We prepared ingredients and cooked porridge for 5 hours on 10 June. It was a bit difficult at the beginning, but within a short time, we made ourselves acquainted with the process. We delivered the porridge to the Oncology Hospital in the morning of 11 June 2017. Although that time was still early, many people had already been there to receive us. Most of the patients are elderly who are suffering from serious health problems, living in difficult conditions and some are even unemployed. “I have been here for 2 months to do medical treatment for the goiter. My children live far away from here, so I have to take care of myself. I don’t have much money. Thanks to you, today I don’t need to worry about my breakfast”, an elderly woman said. Finally, we completed our plan to bring more than 500 packs of porridge to the patients within approximately 2 hours. We became more aware of the youth’s responsibility to society and committed ourselves to dedicate as much as possible to help people. First thing we needed to decide was the instructor. 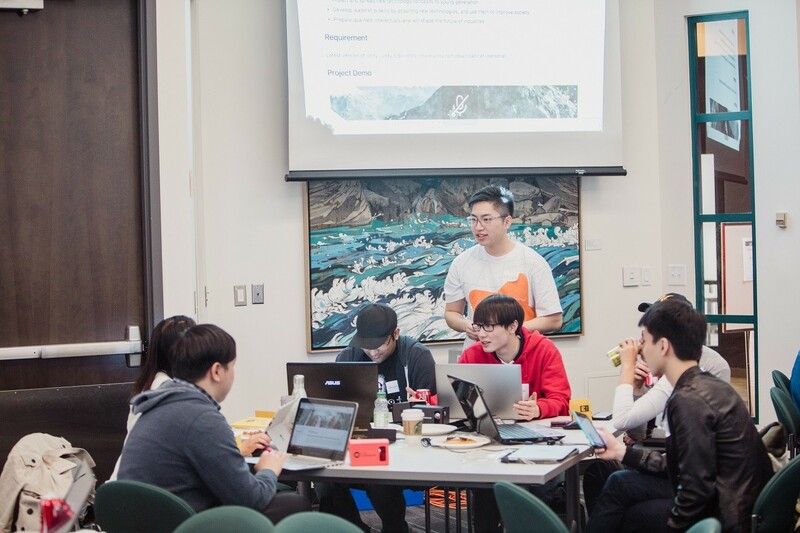 One of us knew an instructor, Mr. Andy Chen, who had been teaching people on building apps. 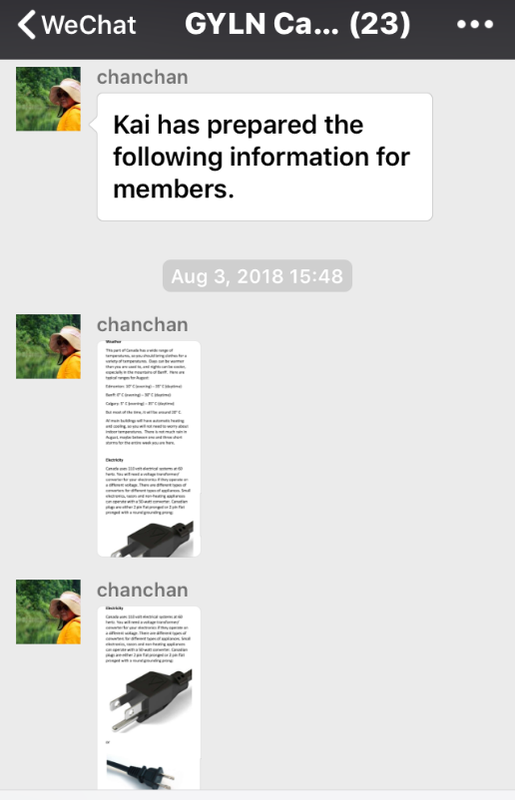 We contacted him and he showed us how many VR apps he had made already. We were confident that he could be our instructor for this event, and he agreed to do this with us at a low cost after we explained to him it’s a non-profit free event for people. There should also be some teacher assistants (TAs) walking around and guiding the students step-by-step, while the instructor was teaching on the stage. Jesse, Jack, and I, who all studied computer, tried to build the demo app and became the TAs. Besides learning to make the app, we also visited multiple locations for a suitable venue to teach and accommodate people with lots of chairs and tables for the computers. 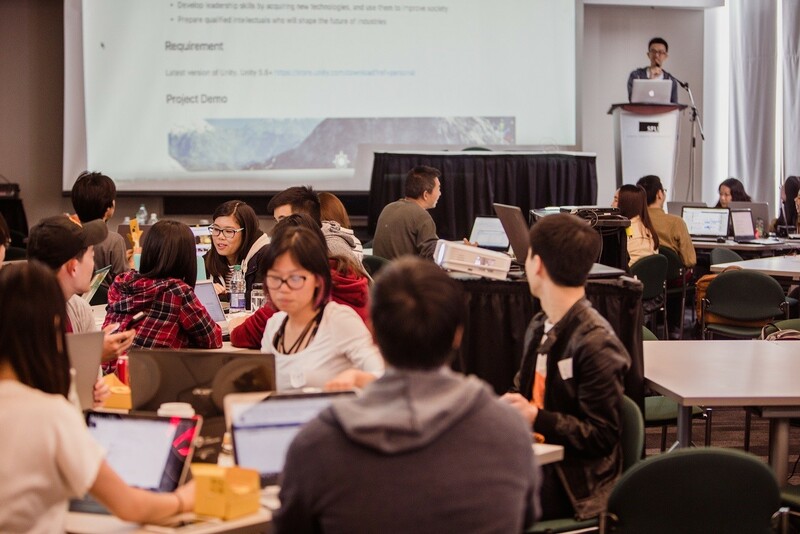 Eventually we chose SFU Harbour Center located in Downtown Vancouver because of its convenient location and available time. 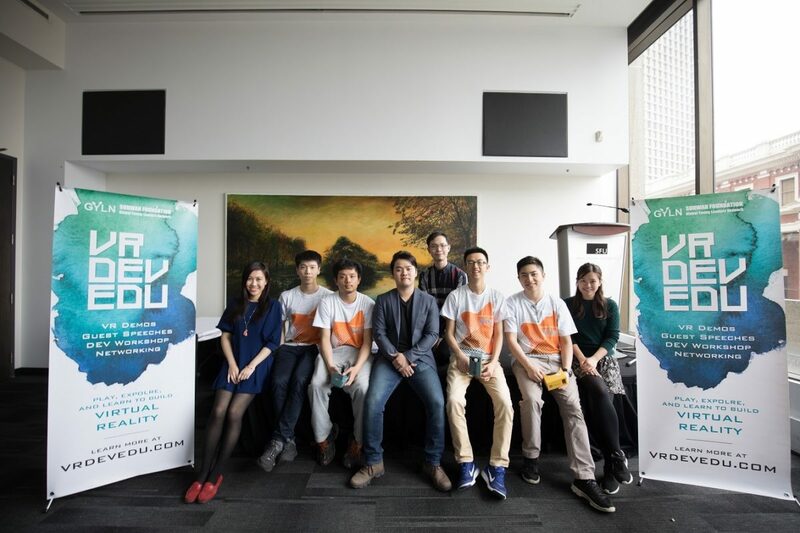 After we settled down the venue and date, and decided the name of the event – VRDEVEDU (VR Development Education), we started the promotion on Facebook, WeChat, and Eventbrite. We found out that Facebook was the best media to spread the news and present the details to the public. Our tickets were all sold out on Eventbrite within a few days. We should follow this promotion approach for future events too. On the event date, there were about 60 people came. 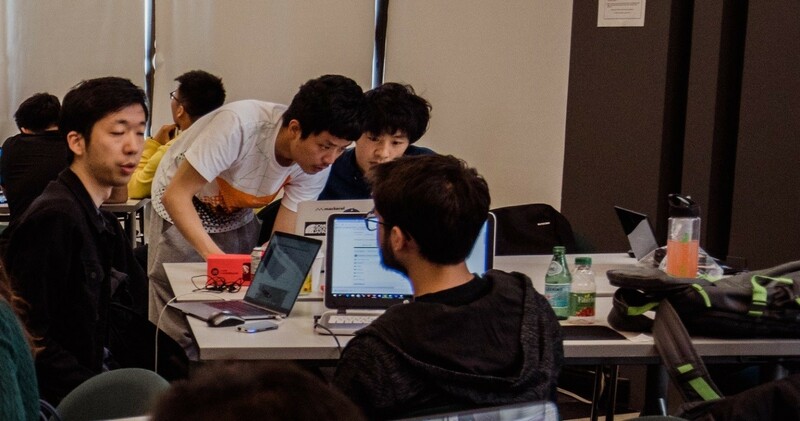 Most of them did not have experience in software development, and we the TAs were running around to guide them on every step. 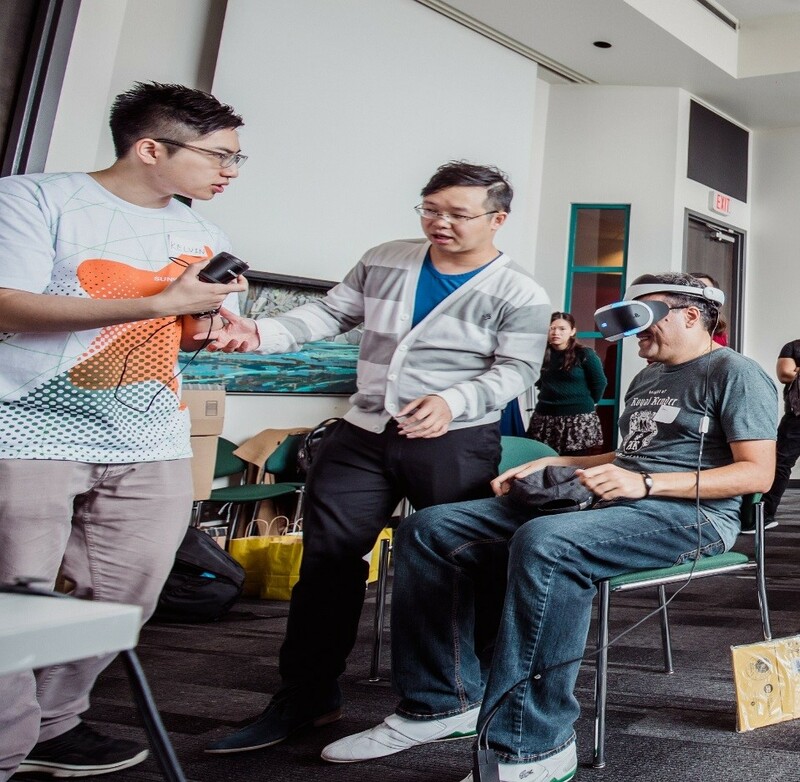 Most of the participants had never tried any VR app before. 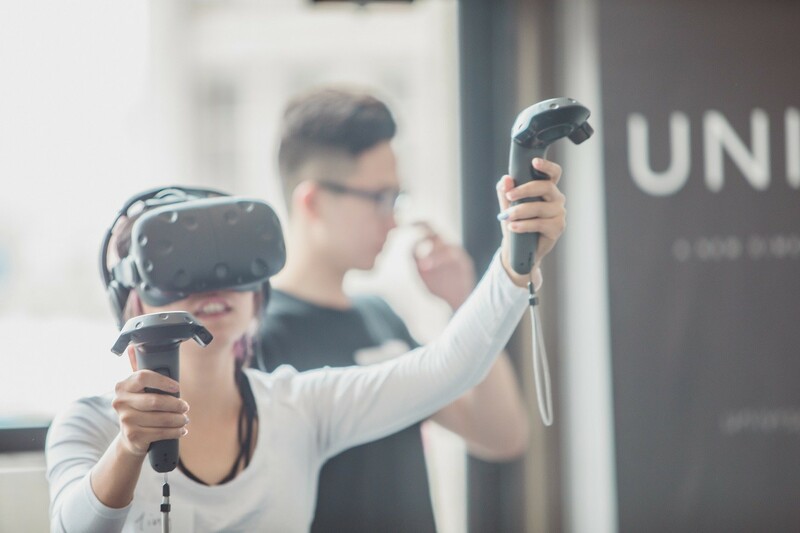 We invited two companies who had been doing VR related businesses to come and demonstrate the advance usage. This was our first event of Canada Chapter. We introduced to the participants about GYLN, and they were amazed that the event was organized by a group of young GYLN members. Some of them even helped out in this event and wanted to involve in planning future events with us together. We recruited some members through this, and they were already suggesting some meaningful ideas to do. While people in many countries were busy with “trick-or-treat” during Halloween, four members from Japan (Tokyo) Chapter, Tomo, Taiki, Peace, and I, participated in the Kyushu International Gathering trip 2016. 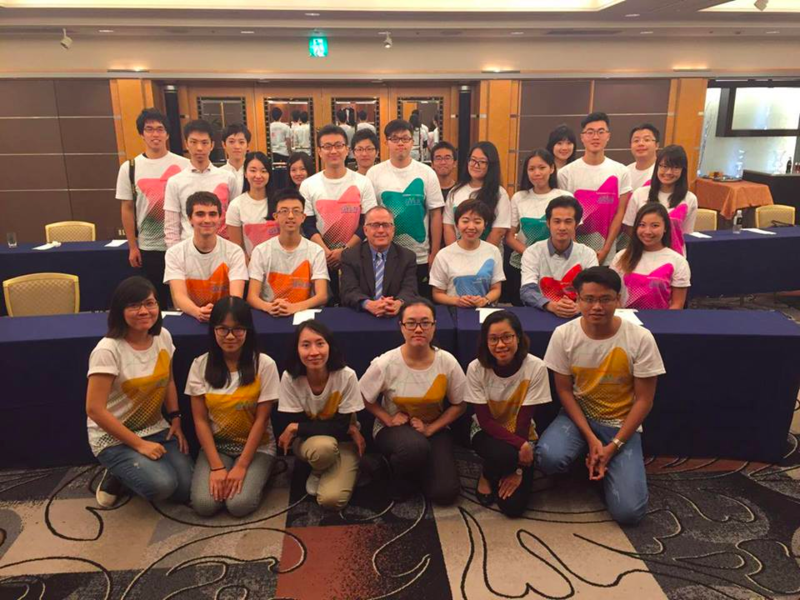 It was the very first gathering to be held in Japan, and we were excited to have all of the chapter members flying all the way from their countries to ours. 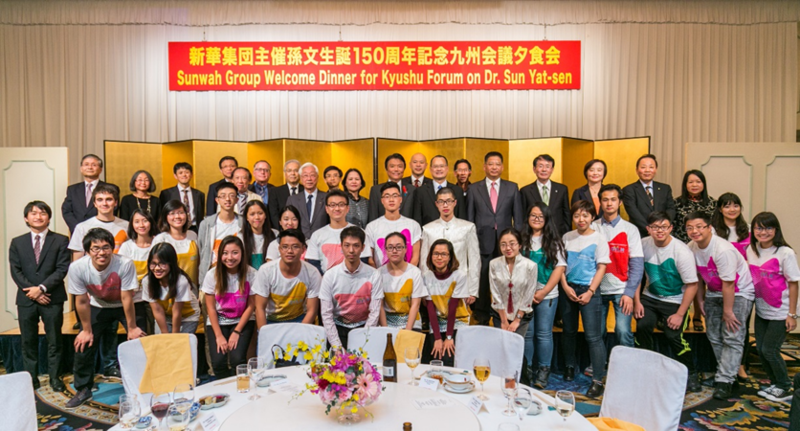 Unfortunately, most of the members were not familiar with the region, so it would not be as successful as it was without Sunwah Foundation and the generous dedication of Kyushu chapter. In this regard, I would like to also thank Ms. Betty Chan, Executive Director of Sunwah Foundation, and all the staff of Sunwah Foundation for organizing such an event and especially Dr. Choi for always giving us enormous opportunities to go beyond our comfort zone. Here, I would like to tell you about the trip and what I learnt from the trip by comparing this conference with the previous one in Hanoi. On Oct. 29th, most of the members arrived at the Fukuoka International Airport. On the first day of this gathering, members went to one of the famous shrines in the region, Dazaifu Tenmangu. Then, they went to a museum to see how Fukuoka prospered over the years. At night, they went to the city for a little sightseeing. Unfortunately, I was not able to join them for this eventful day, but when I got to the dorm very late at night I could see that members had already been getting so close to each other. Oct. 30th was the day full of discussions on future leaders. In the beginning, five chapters gave presentations about what they have done in the past year. 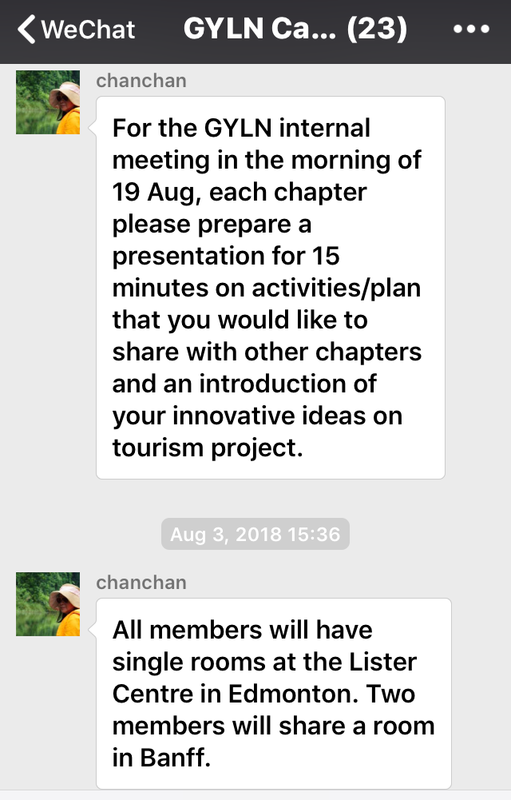 The scheduled speakers were three, but Angel from Macau Chapter and I felt the need to also explain what we had done, so just 9 hours before the presentation, we had decided to prepare ours as well. I guess you could imagine how much coffee we needed to drink in the next morning. The following morning session started with Ms Betty Chan’s introduction. As always her style is “short and sharp”, it did not take long before the baton was passed to the members to start presentations. 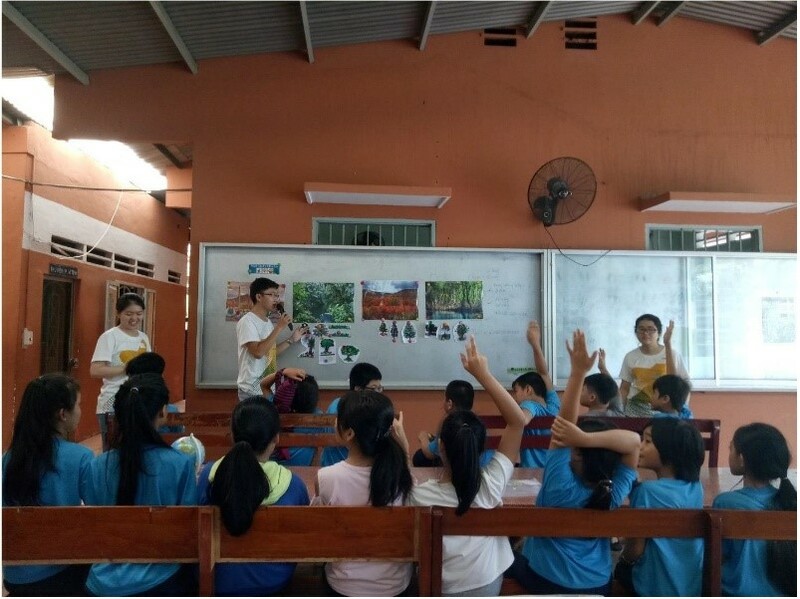 All of the chapters were well prepared; especially members of the Hanoi Chapter and Ho Chi Minh Chapter were great in a way that other chapters had so much to learn from their well structured and organized model. Later, we discussed about “Global Citizenship”. How can we be one? The conclusion we had was to understand other cultures and nationalities, while keep your own intact and well complimented. This was a challenging topic because at the end we realized it took time to accept and understand others especially if you were in the environment where everyone else had different background and values. Thus, we had a lecture by Prof. Gordon Houlden, a former Canadian diplomat in Beijing and current professor of University of Alberta, Canada. He shared his experience living in Asia and how he became one of the Global Citizens. There was a lot to learn, and also some challenging questions were asked from the floor. After that, we had the Welcome Dinner with the governor of Fukuoka together with many more leaders from different fields. On Oct. 31st, we had a ceremony at Kyushu University and a memorial conference about Dr. Sun Yat-Sen, the well-known Chinese revolutionary as well as the first President of the Republic of China. We celebrated the ground breaking ceremony of the Jonathan KS Choi Cultural Center located in Ito Campus, Kyushu University. Then, various scholars around the world gathered to discuss about Dr. Sun Yat-Sen. I was amazed to learn how much influence he had, not only in China and Japan, but also in other Asian countries and all over the world. On Nov. 1st, we had another conference to commemorate Dr Sun Yat-sen’s 150th anniversary of birthday in the city of Fukuoka which is “Conference on Kyushu as a Frontier of Asia Pacific Cooperation”. In the afternoon, we had some free time to go sightseeing, so we went to the Fukuoka city museum and it was already time to say goodbye. This was my second time to join Sunwah Foundation’s international gathering as a member of Japan Chapter and this time it was my great honor to welcome members from other chapters to my country. When I think about the term “Leader” there is a moment I feel that what we can do as individuals might not have that much influence to the world. However, this conference made me realize that if we do not do anything or not try to understand others nothing will change. 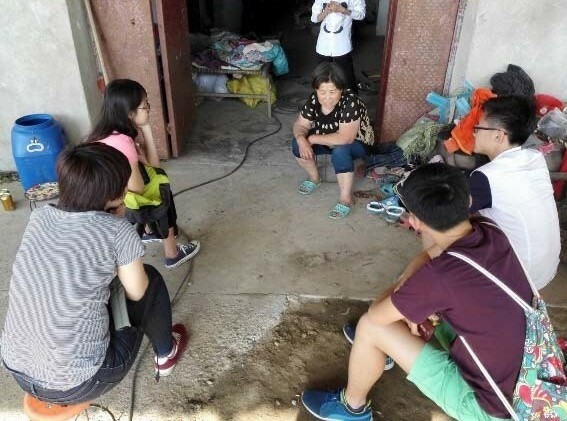 Whenever I am in the community of Sunwah Foundation, I feel that we, as a group of future leaders, do accept the difference of individual uniqueness and this is certainly a leap to the next generation instead of grouping up people in a category and see them through the lens of stereotypes. I am glad to be a member of this Foundation, making connections around the world will gradually break those lenses and eventually each one of us will spread a positive change to the society.